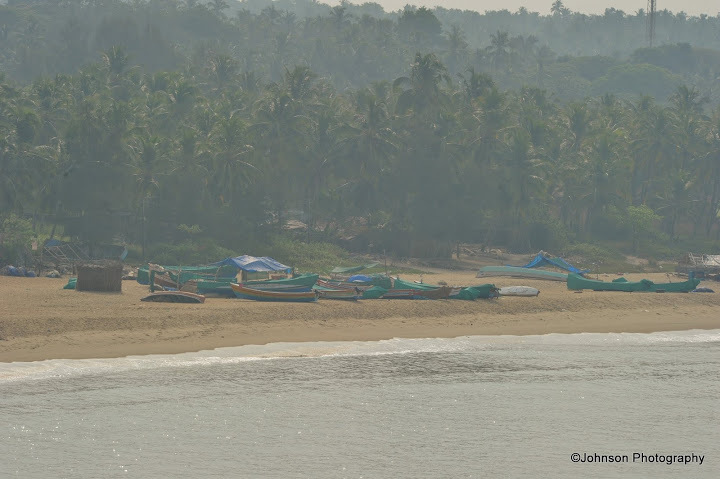 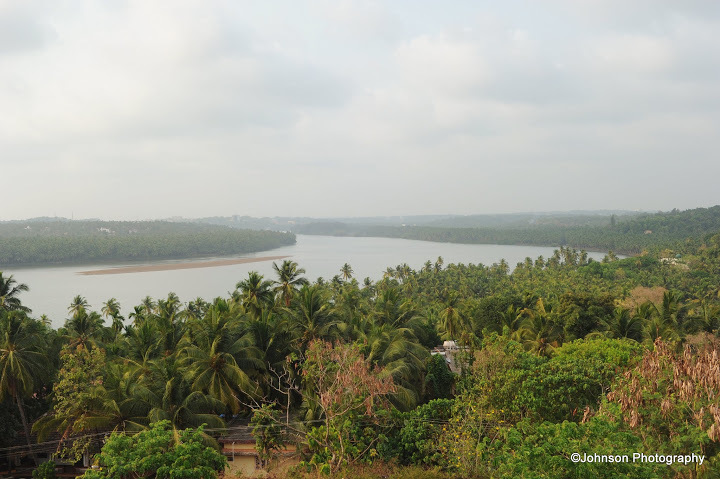 Kasargod is the northernmost district of Kerala is bordering the Dakshina Kannada district of Karnataka is famous for its forts and pristine beaches. 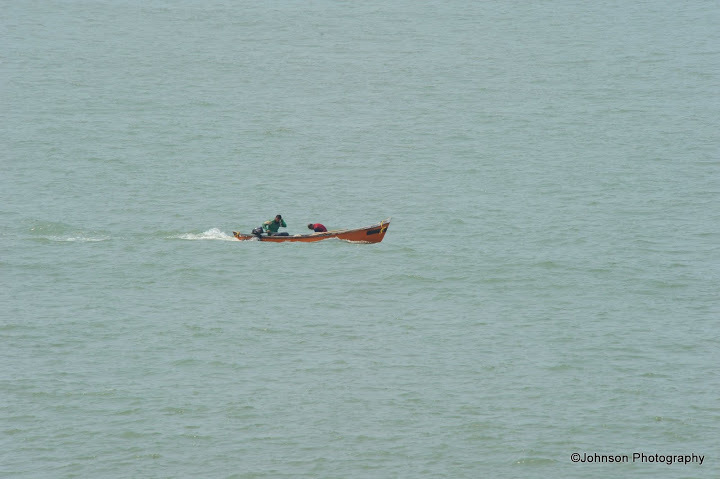 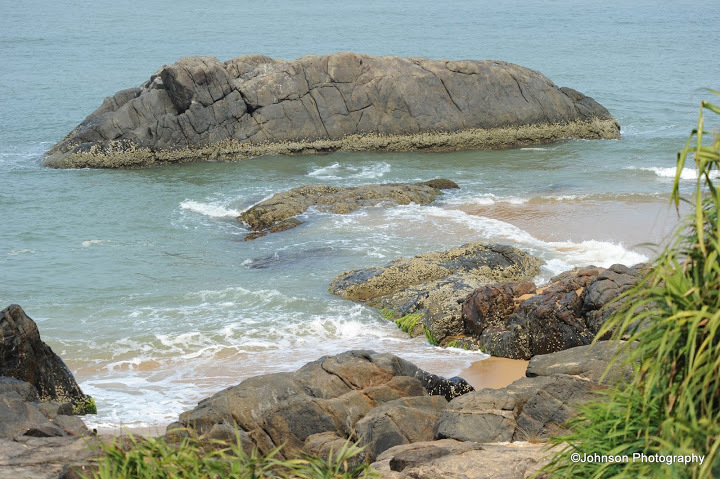 It is located 50 km south of Mangalore city. 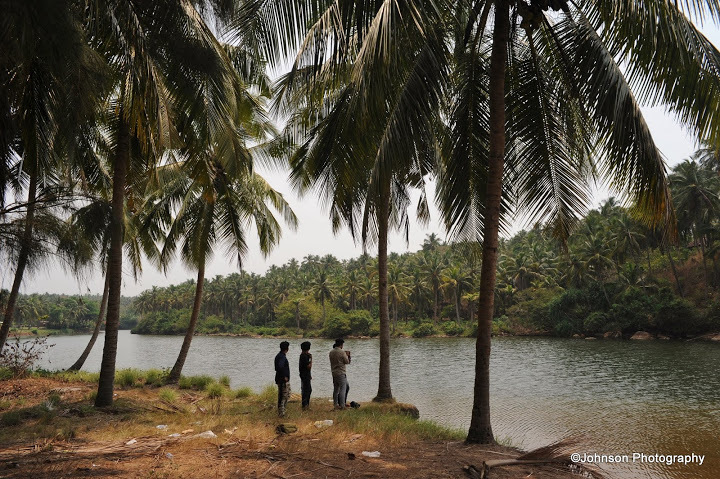 The principle language of Kasargod is Malayalam and Kannada but other languages like Tulu, Beary Bhasha (spoken by Tuluva-Malayali Muslims) and Konkani are also widely spoken. 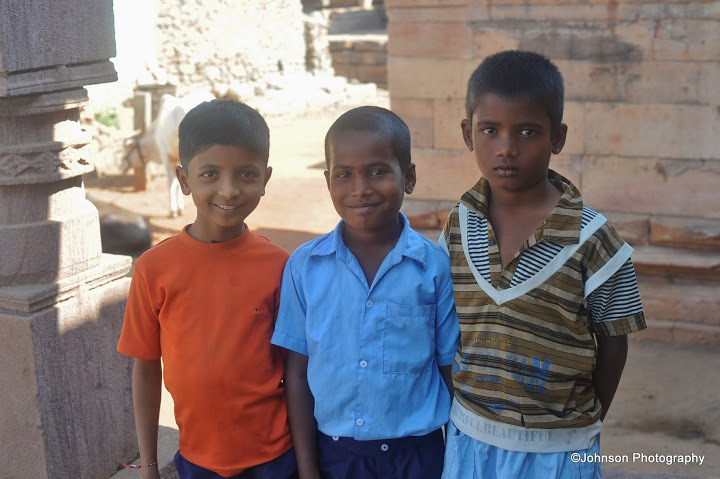 Hindi and Urdu are spoken to a lesser extent. 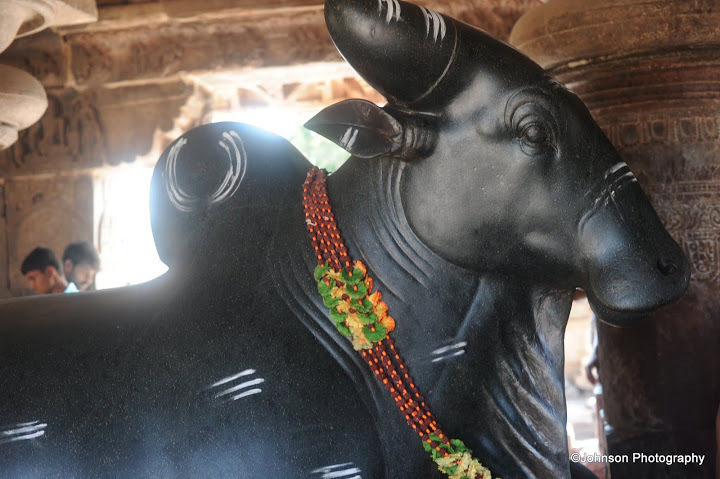 Havyaka speakers also have a strong base here. 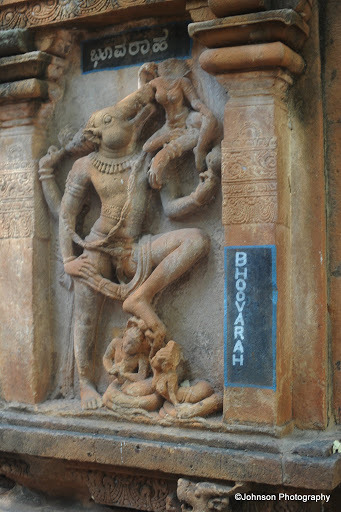 Havyaka Brahmins are the Hindu Pancha Dravida Brahmin Subsect primarily from Karnataka and North Malabar. 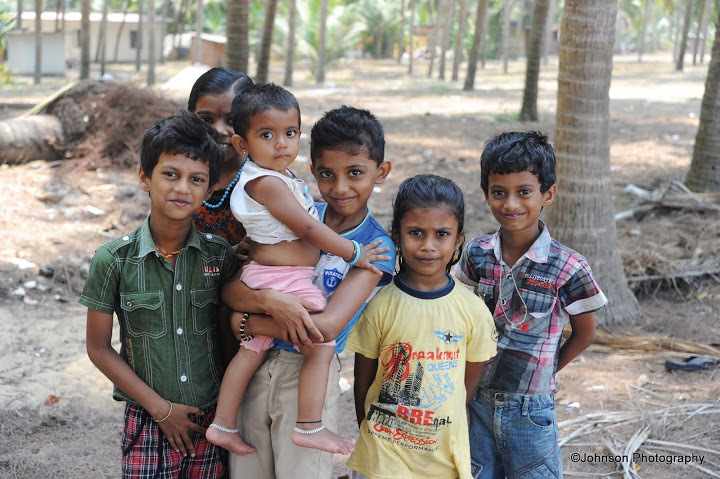 They speak a unique language a dialect of Kannada known as Havigannada. 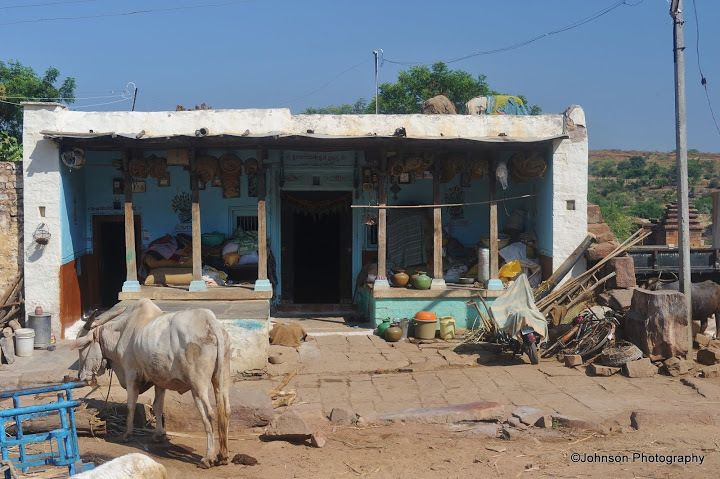 So many languages for such a small town….. a living testimony to its cosmopolitan nature. 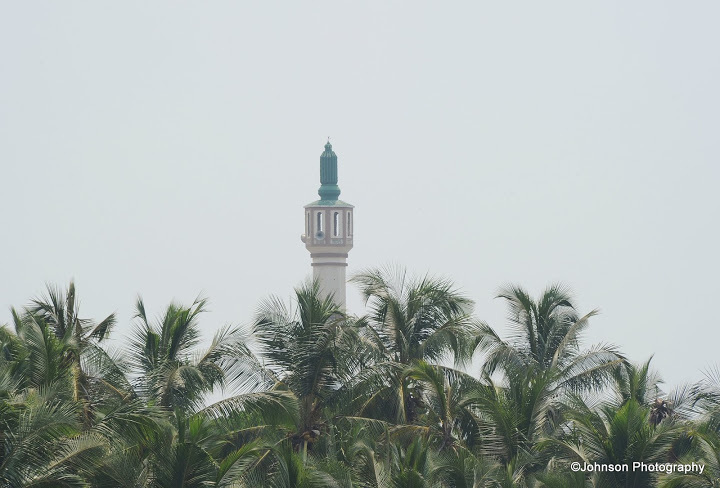 The famous Malik Dinar Mosque is also located in Kasargod. 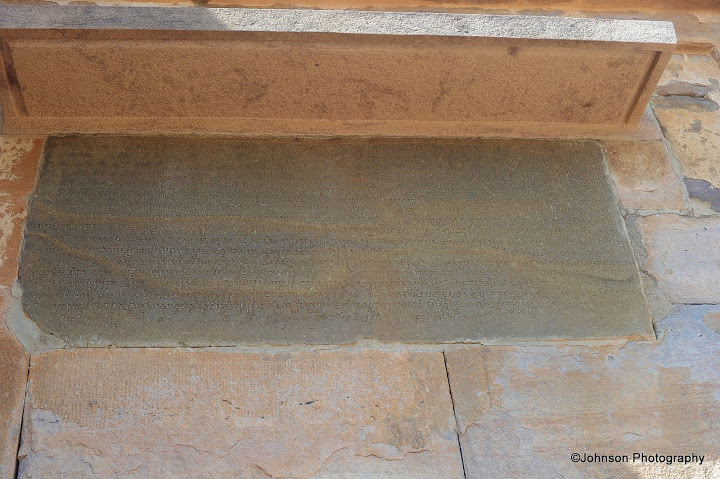 It contains the grave of Malik Dinar one of the companions of Prophet Mohammed. 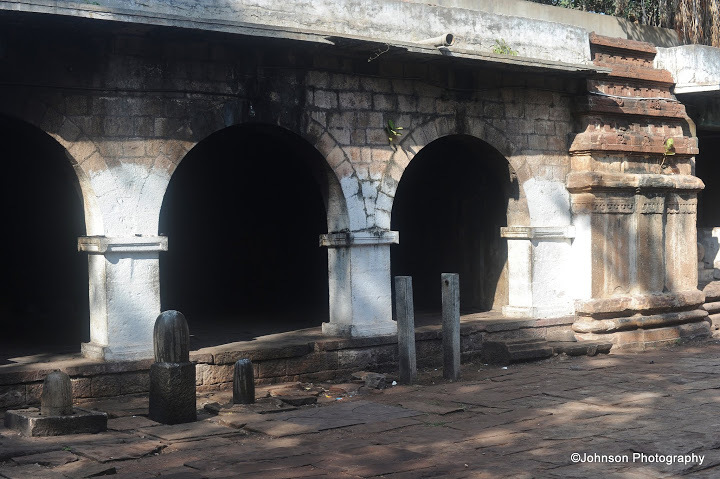 The mosque is built in typical Kerala style of architecture. 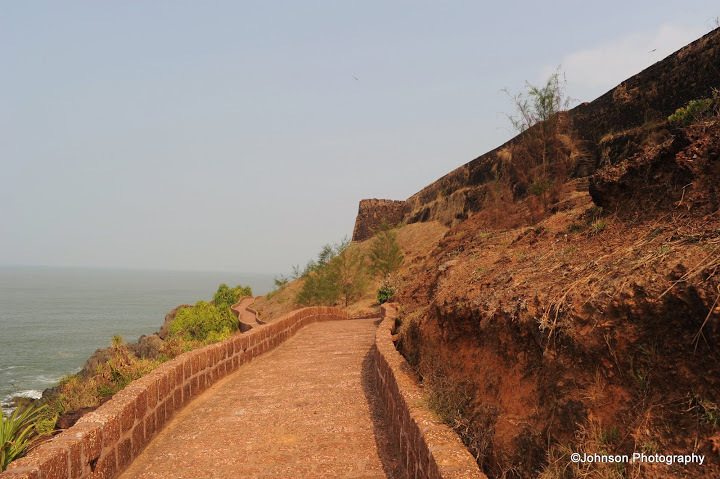 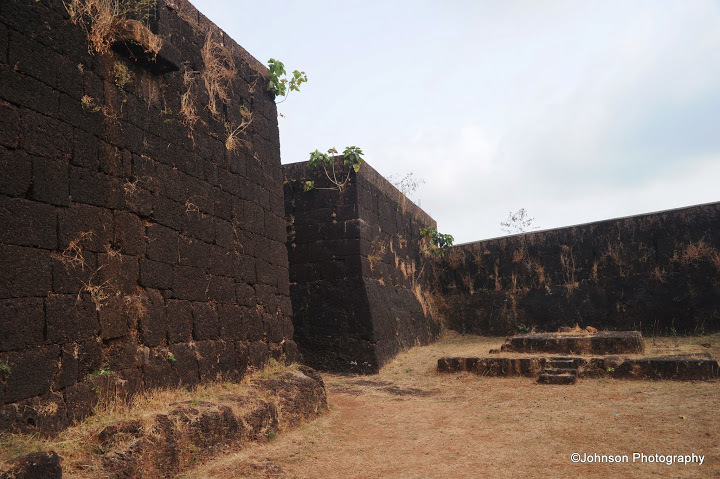 The major attraction of Kasargod is the Bekal Fort. 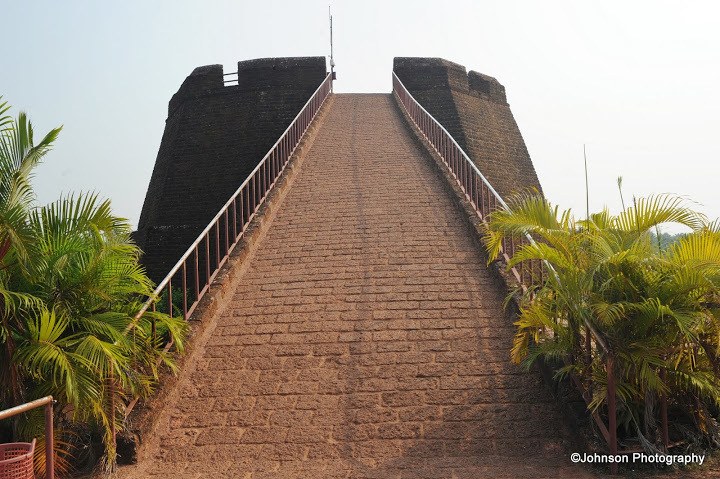 This is the largest fort in Kerala, spreading over 40 acres. 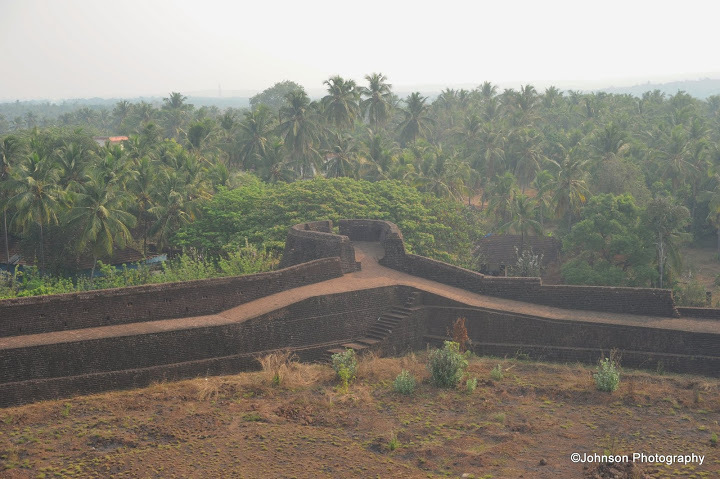 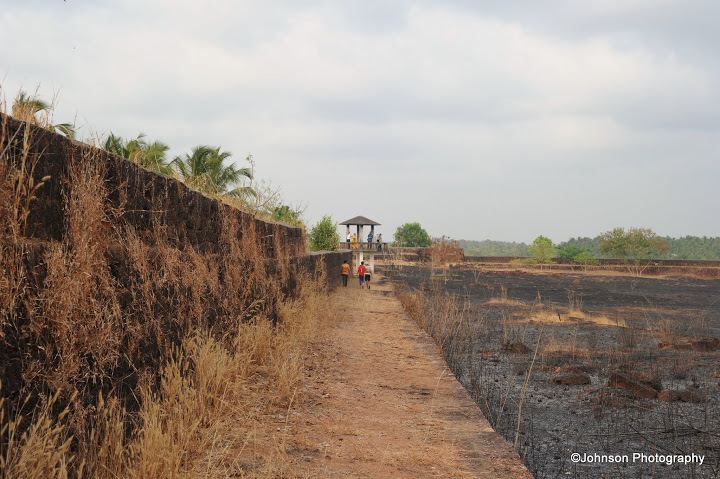 Unlike most other Indian forts, Bekal Fort was not a center of administration and as a result no remains of palace, mansion or such buildings are found within the fort. 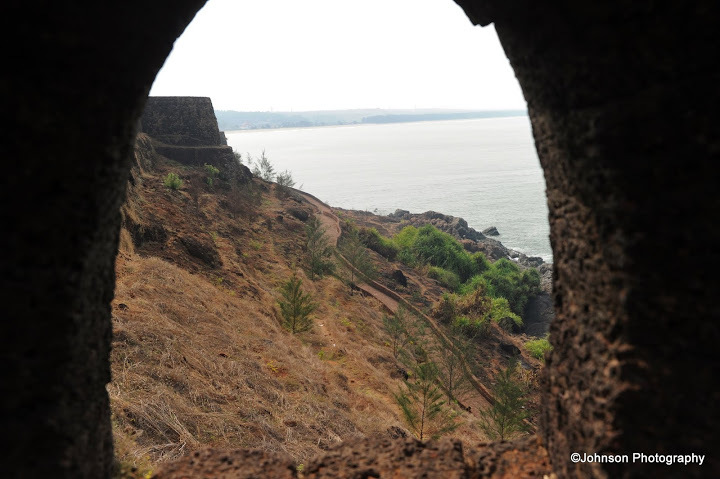 The fort was built especially for fulfilling defense requirements. 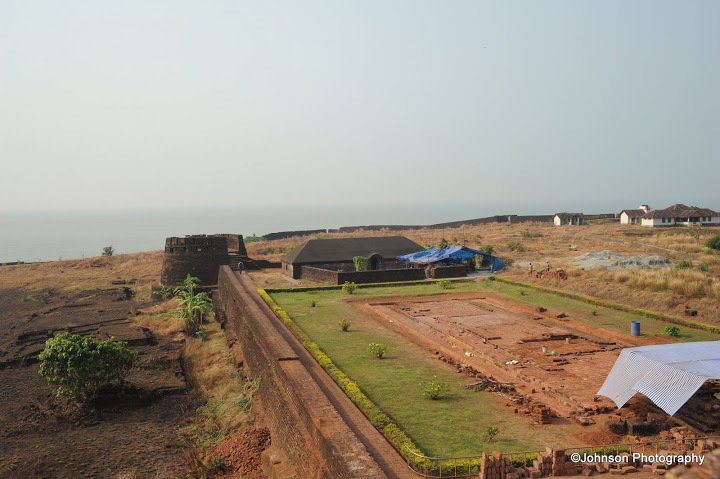 The fort was constructed by Shivappa Nayaka of Bednore in 1650 AD. 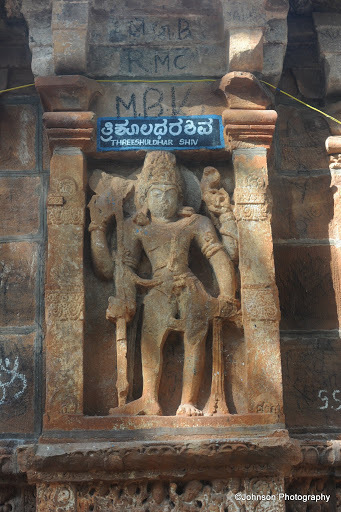 During the Perumal Age Bekal was part of Mahodayapuram. 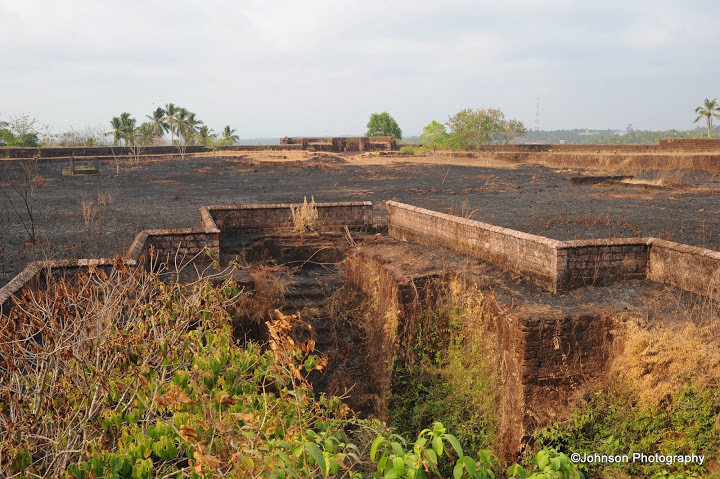 Following the decline of Perumals of Mahodayapuram by 12th Century AD, North Kerala including Bekal came under the sovereignty of Chirakkal Royal Family. 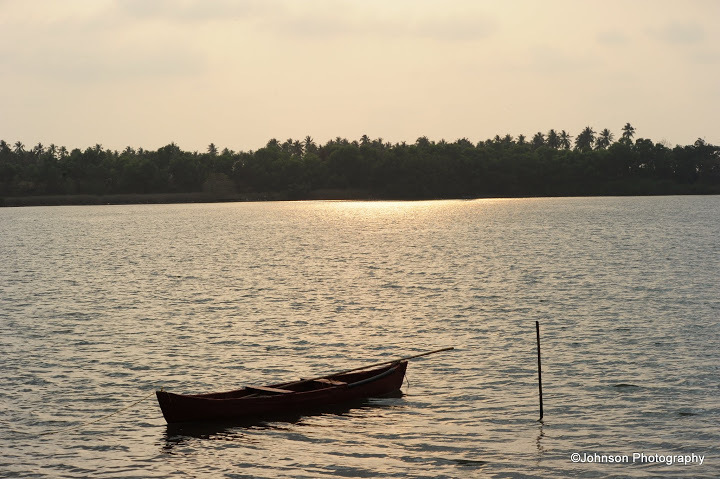 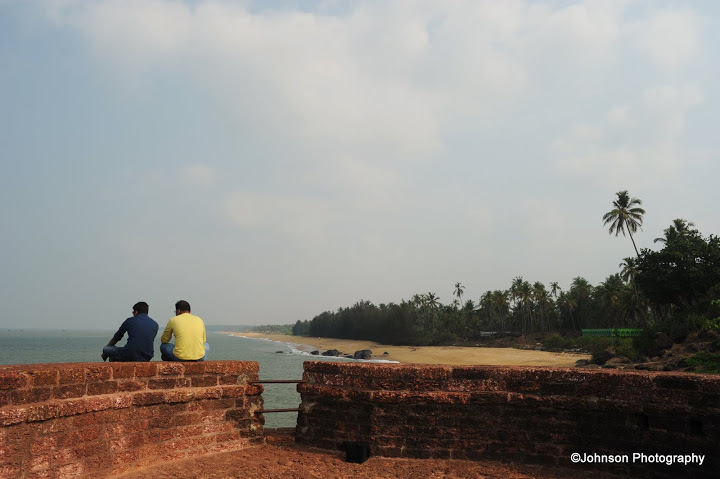 The Maritime importance of Bekal increased much during this period and it became an important port town of Tulunadu and Malabar. 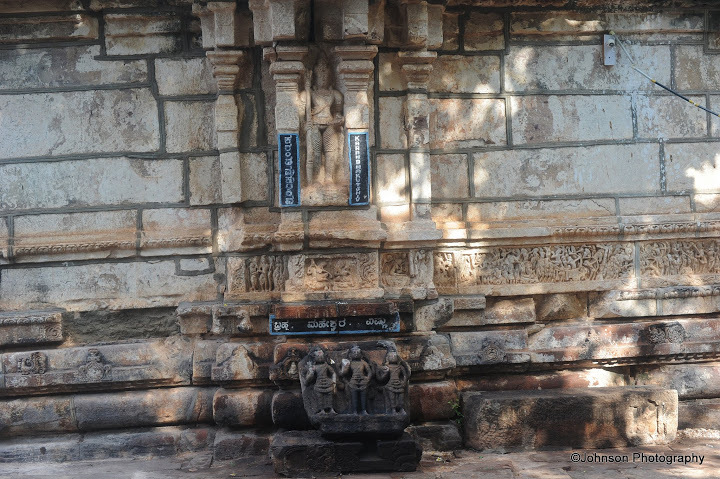 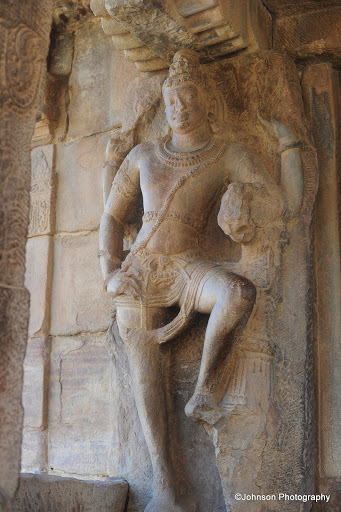 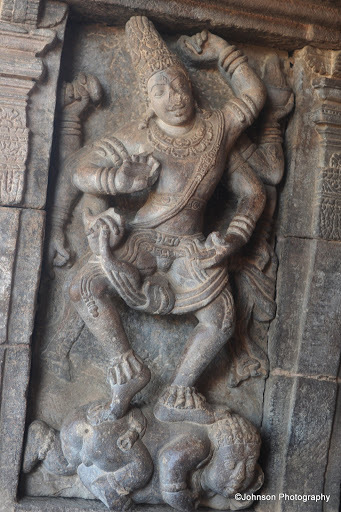 After the decline of Vijayanagara Empire following the Battle of Talikota in 1565 AD, the Keladi Nayakas (Ikkeri Nayakas) came into prominence. 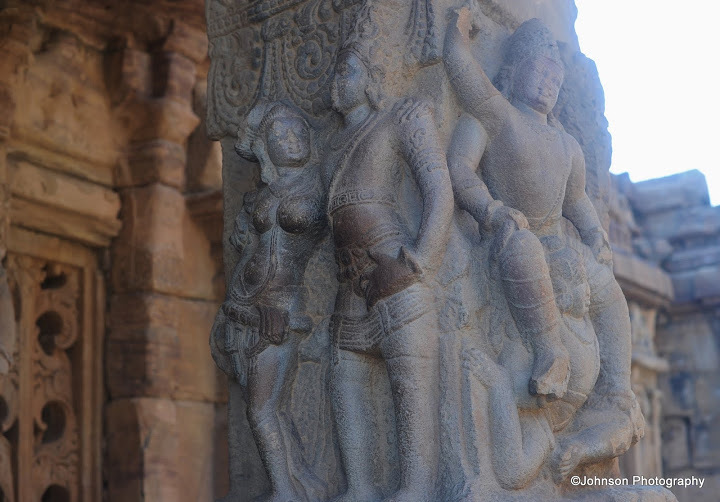 Fully understanding the political and economic importance of this region the Nayakas attacked and annexed this region to their kingdom. 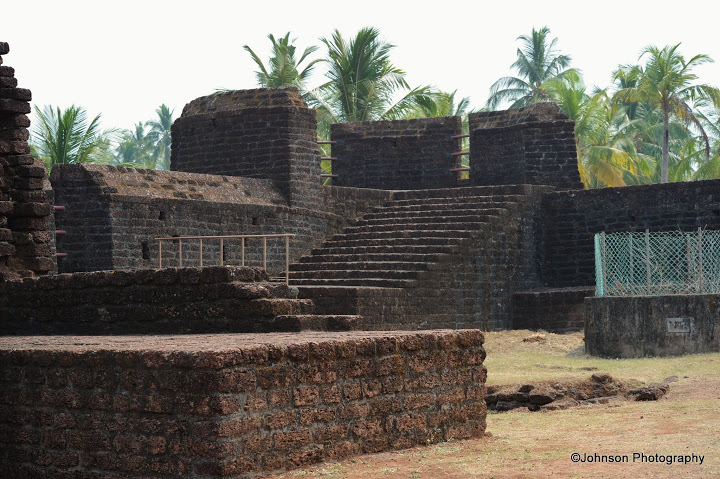 Bekal served as the nucleus in establishing the dominance of Nayakas in Malabar. 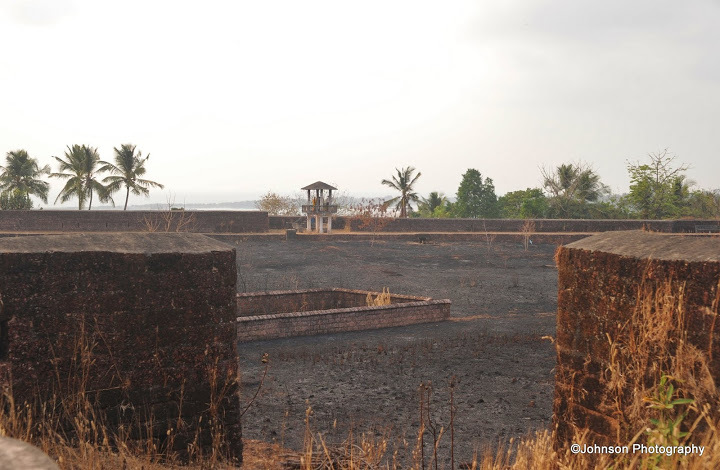 Later Hyder Ali conquered the Nayakas and Bekal fell into the hands of Mysore kings. 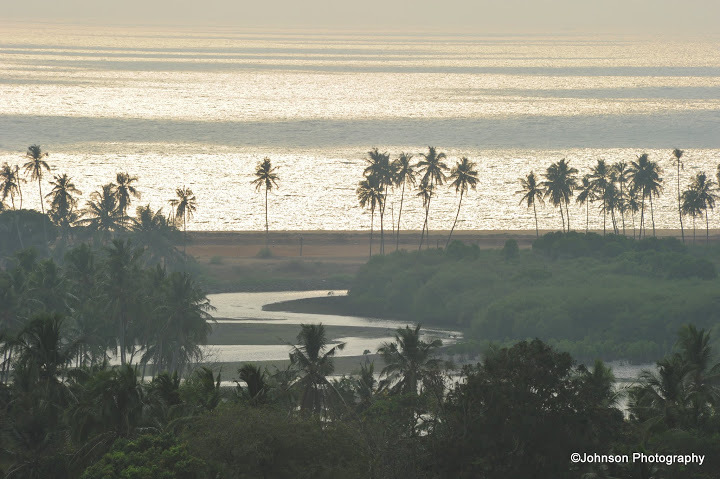 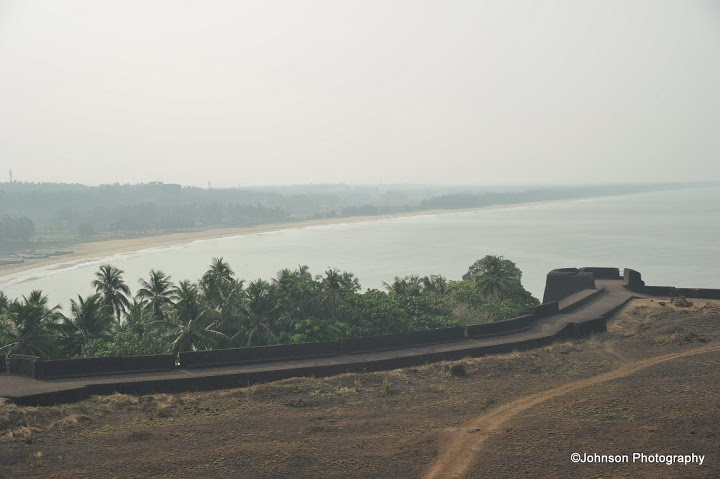 Bekal served as an important military station for Tipu Sultan when he attacked Malabar. 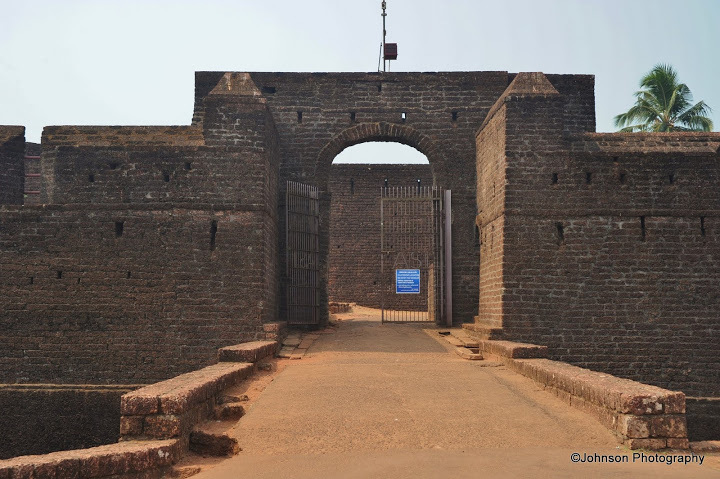 After the deat of Tipu Sultan in the fourth Anglo-Mysore war in 1799 the fort came under the British East India Company. 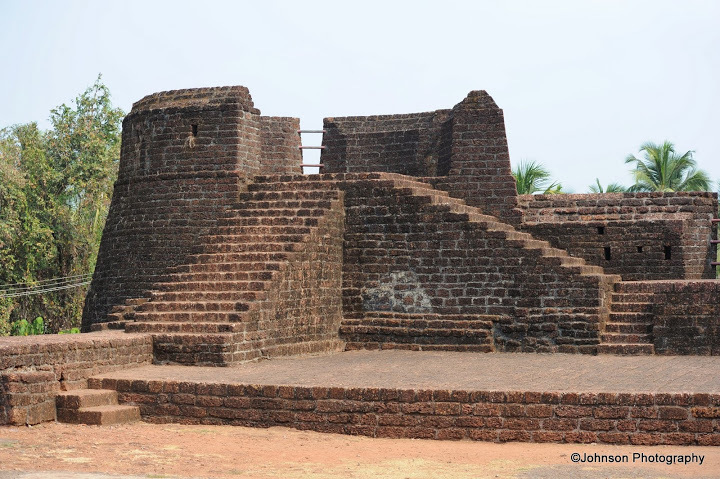 Three fourth of the Bekal Fort’s exterior is surrounded by sea. 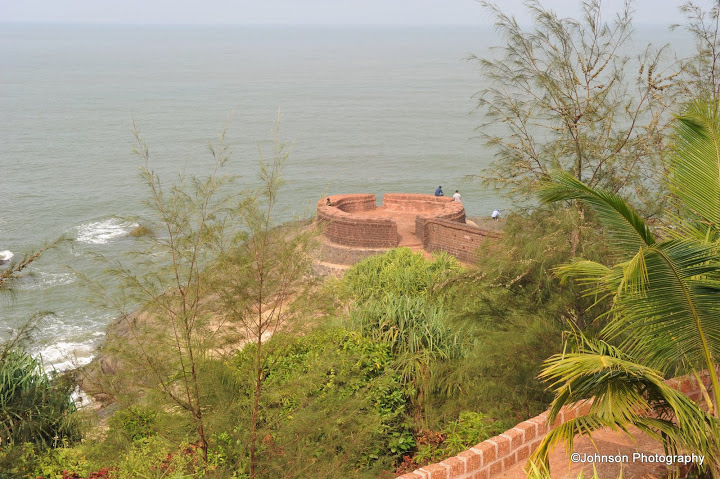 The fort offers superb view of the Arabian Sea from its tall observation towers where a few centuries ago huge cannons used to be placed. 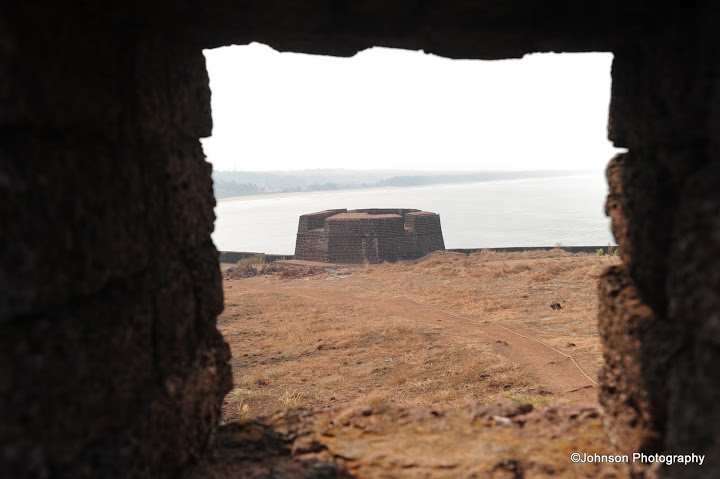 Today Bekal Fort and its surrounding beach is a famous tourist destination and is a favourite shooting location for film makers. 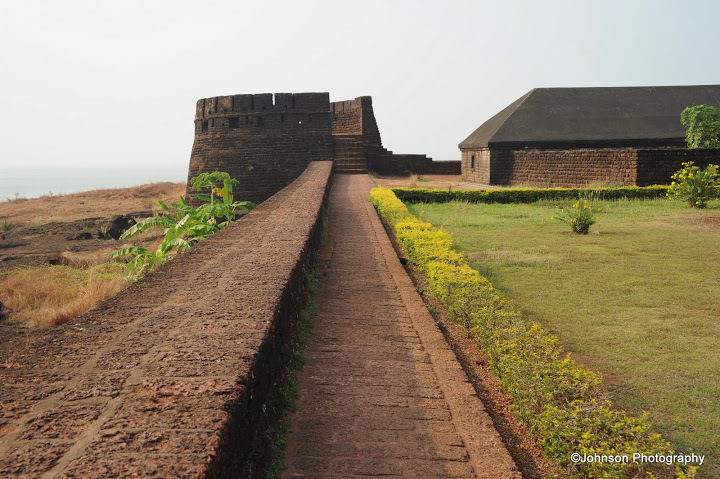 The famous song “Tu hi re” from Mani Ratnam’s movie “Bombay” was shot at Bekal Fort. 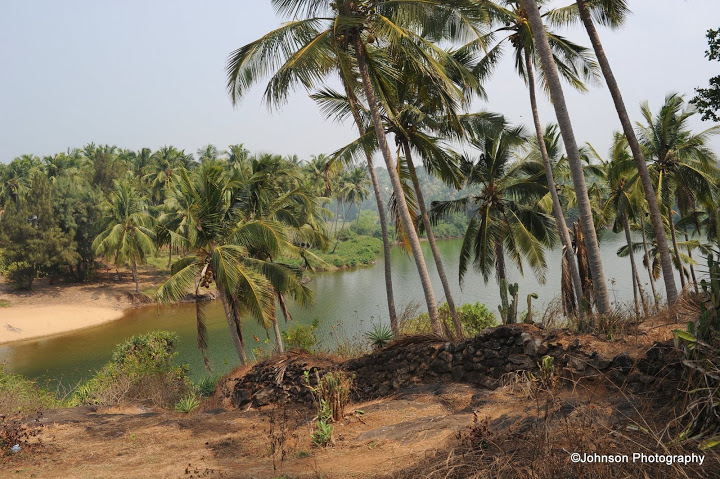 There are frequent buses from Kasargod bus stand to Pallikara which is at distance of 12 km from Kasargod and the fort is on a 5 minutes’ walk from there. 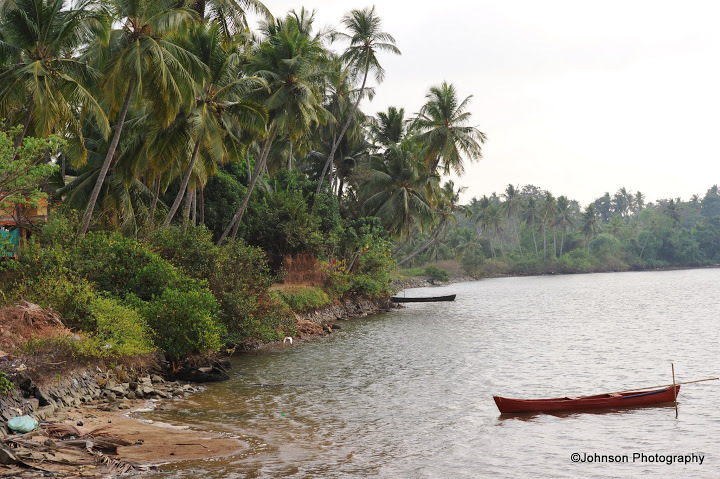 Kanhangad also is at the same distance and there are frequent buses on this route. 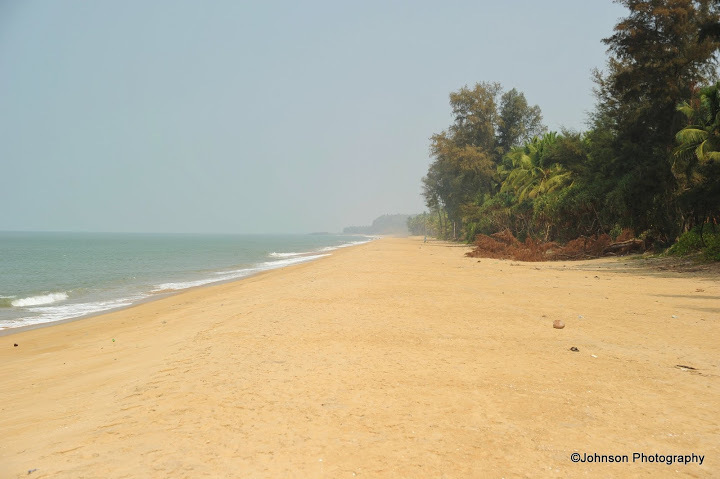 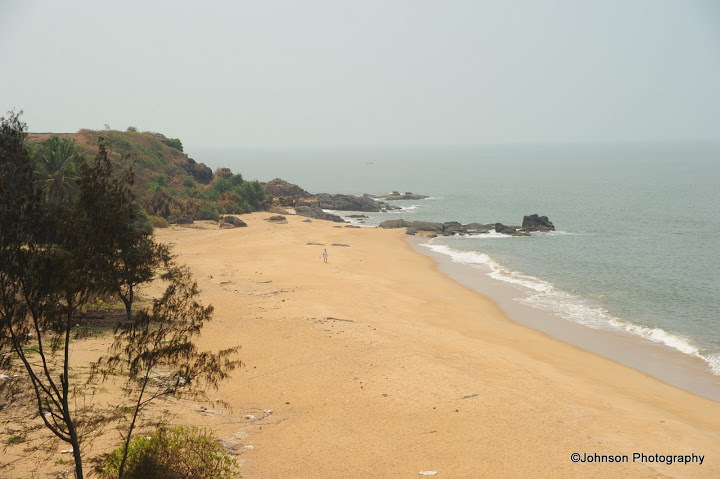 This less crowded and unexplored beach is not very far from the Bekal fort and a better option for tourists who seek greater solitude. 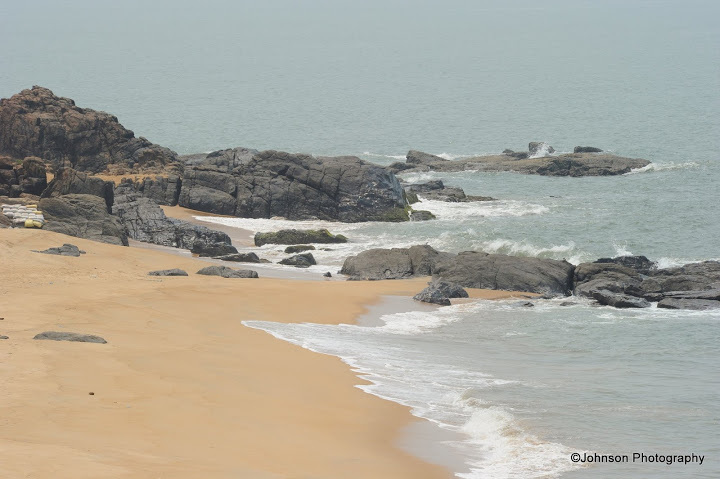 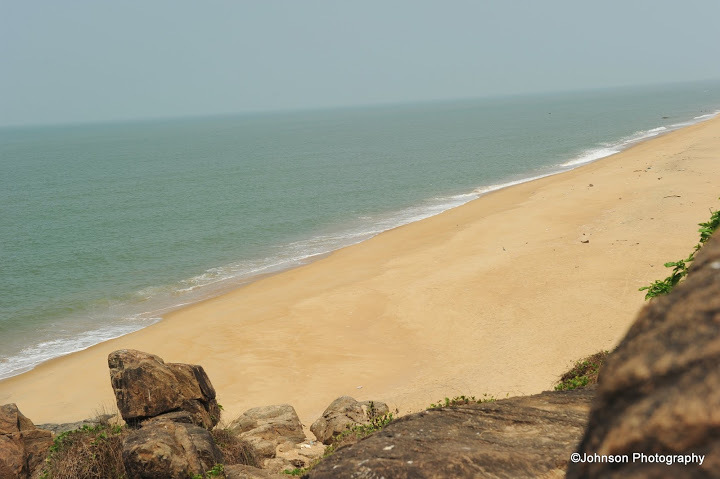 The small hill on this beach popularly known as Kodi cliff is a major attraction. 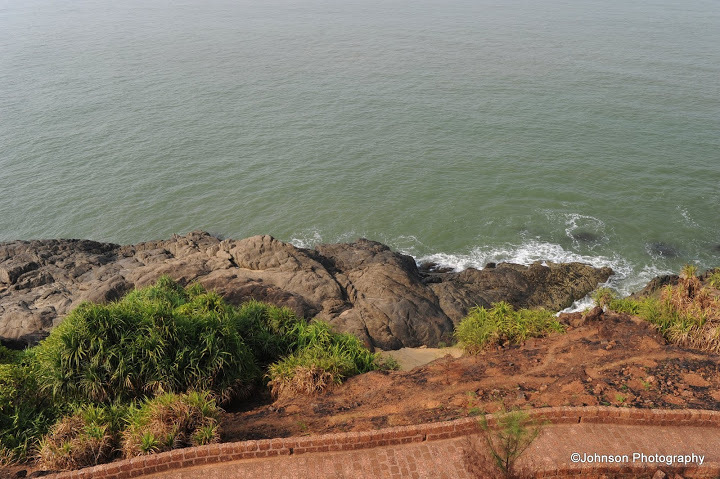 From the top of this cliff you can enjoy the charming view of the Arabian Sea. 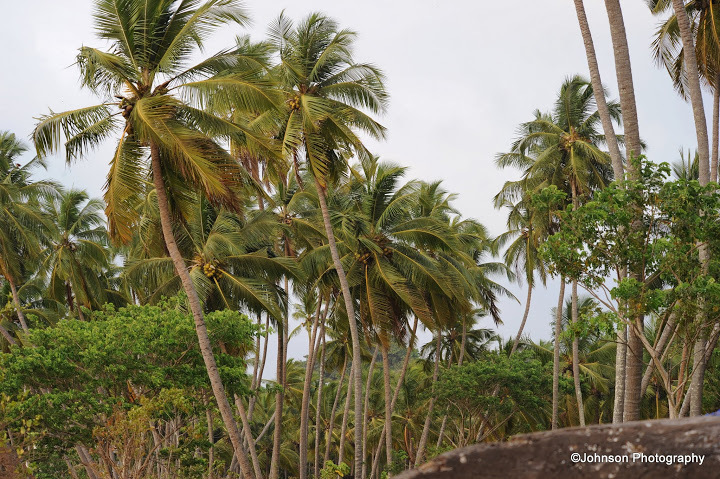 The thick groves of casuarina trees and coconut palms along the beach is a visual treat for the tourists. 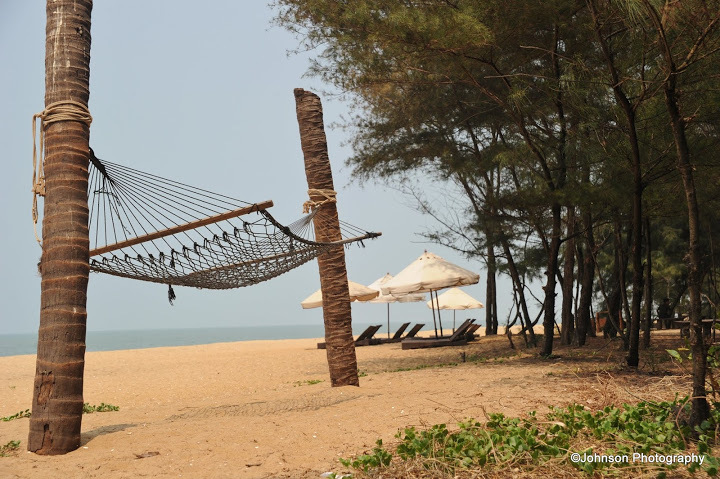 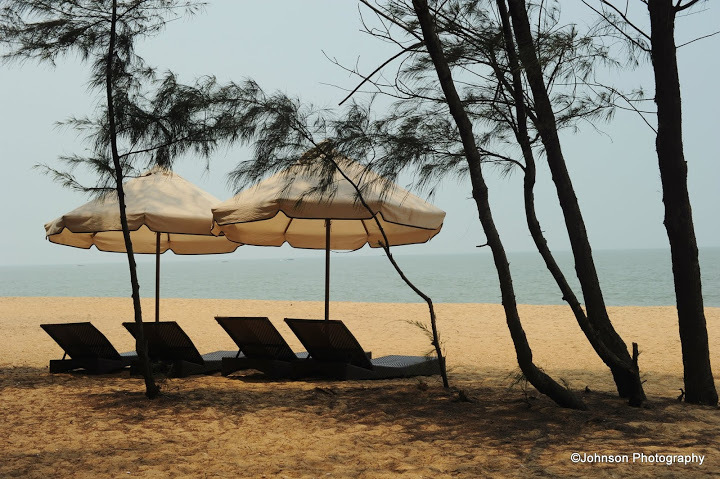 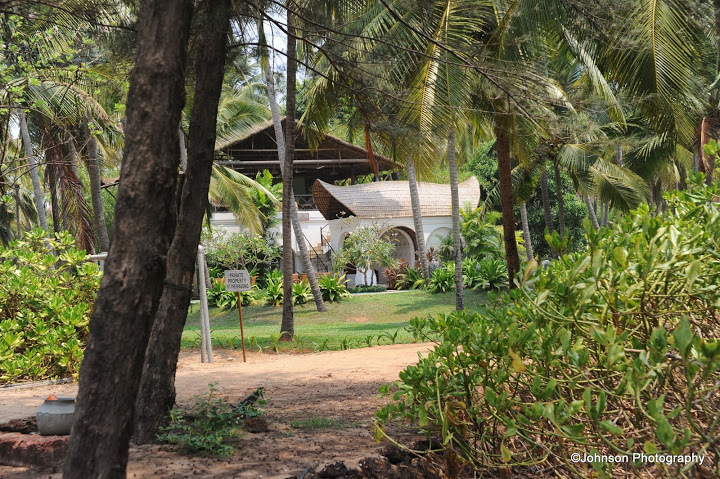 The Taj Vivanta Luxury resort is also located close to Kappil beach. 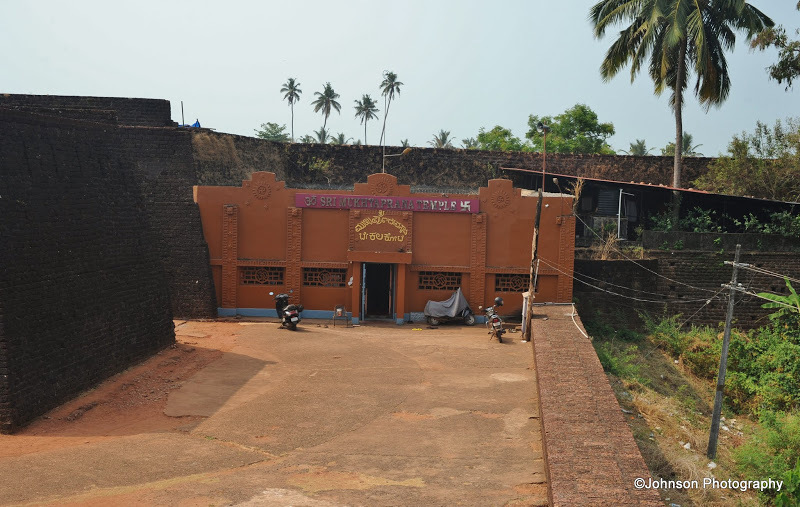 Chandragiri Fort is located at the confluence of Payaswini River and the Arabian Sea. 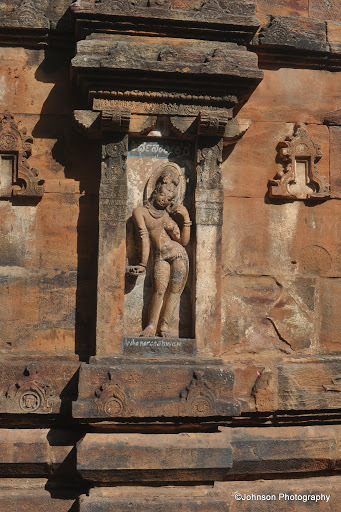 The Chandragiri fort was built by Shivappa Nayaka of Ikkeri in the 17th century. 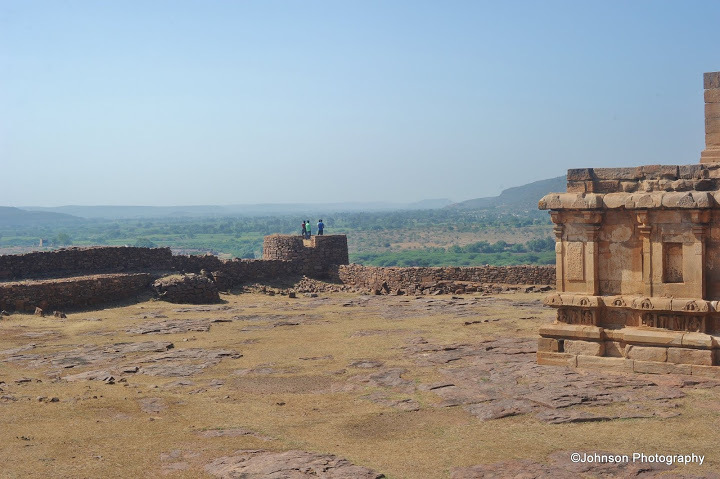 Perched atop a hill the Chandragiri fort is a vantage point to view of the sunset. 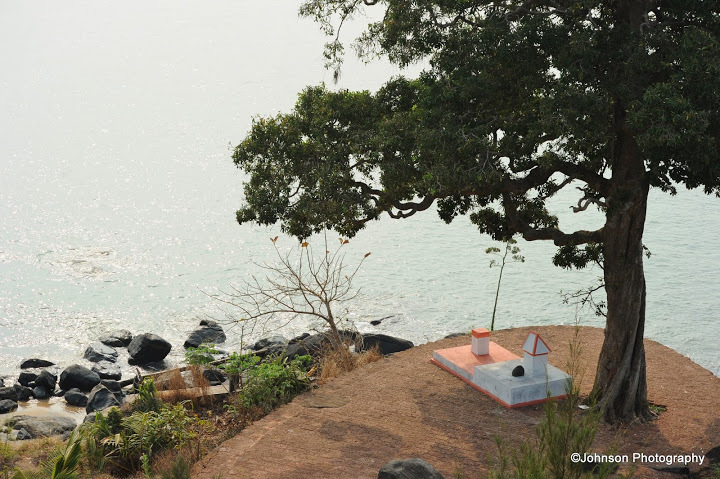 It is 50 meters above sea level and occupies an area of 7 acres. 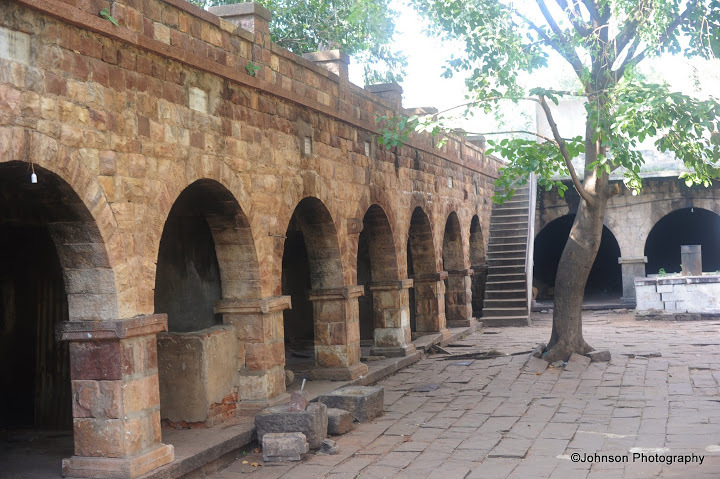 Inside the fort there is a deep well and a pond. 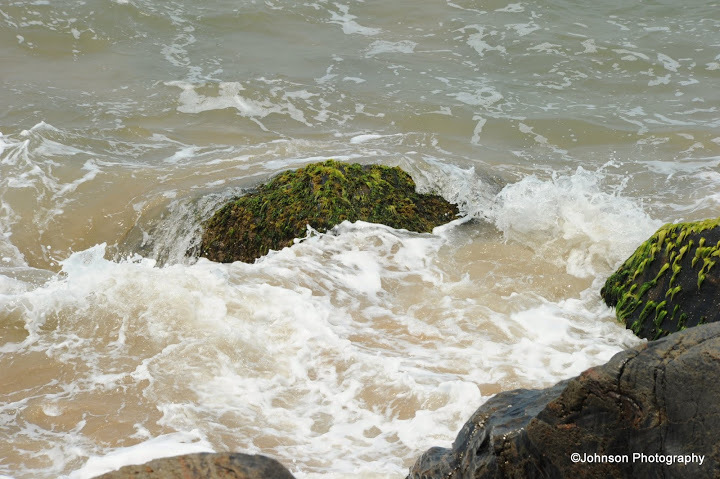 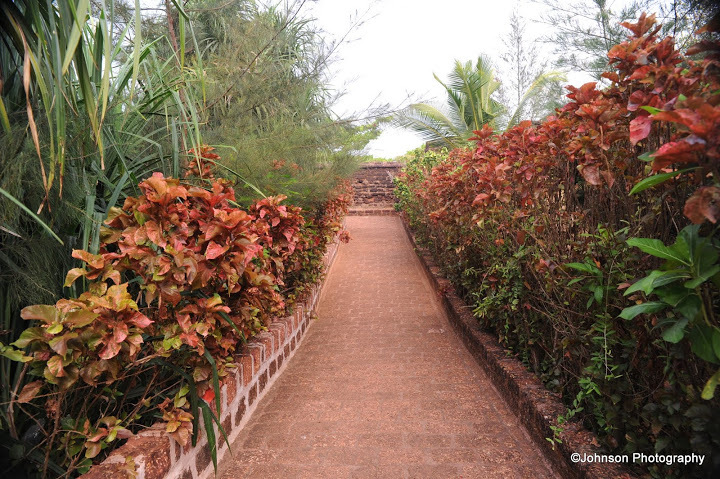 It is located 12 km from Bekal fort and 4 km from Kasargod town. 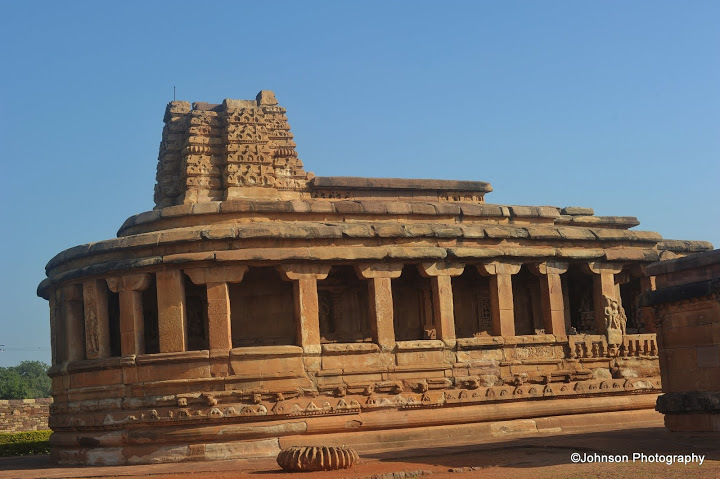 There are frequent buses available from Beakal and Kasardgod to reach Chandragiri. 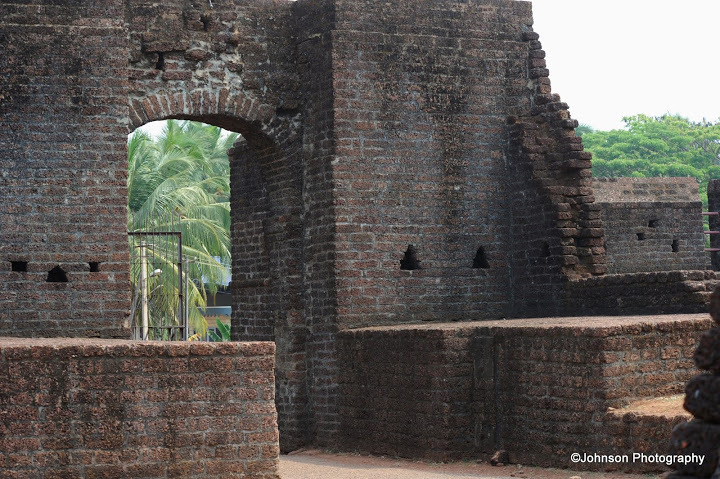 You can get down at Melparamba and walk down to the fort which is 10 minutes away. 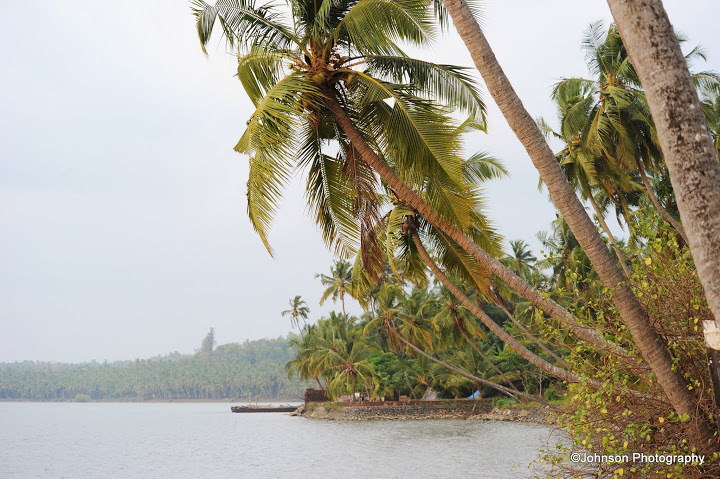 The nearest railway station is Kasargod. 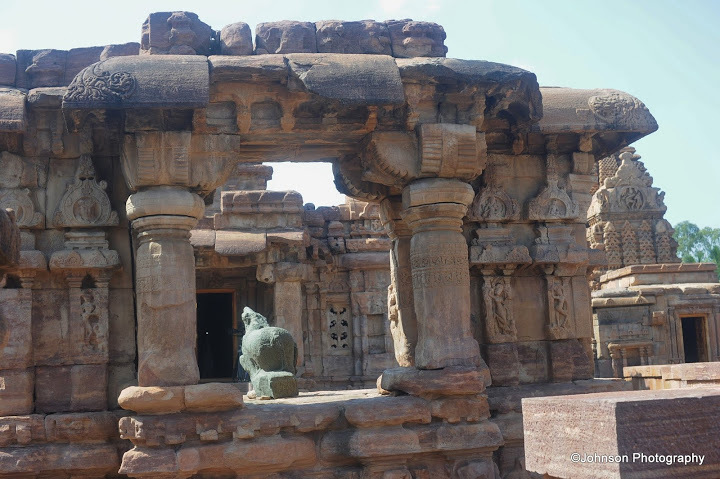 Aihole and Pattadakal located on the banks of Malaprabha River are often considered as the cradle of South Indian architecture. 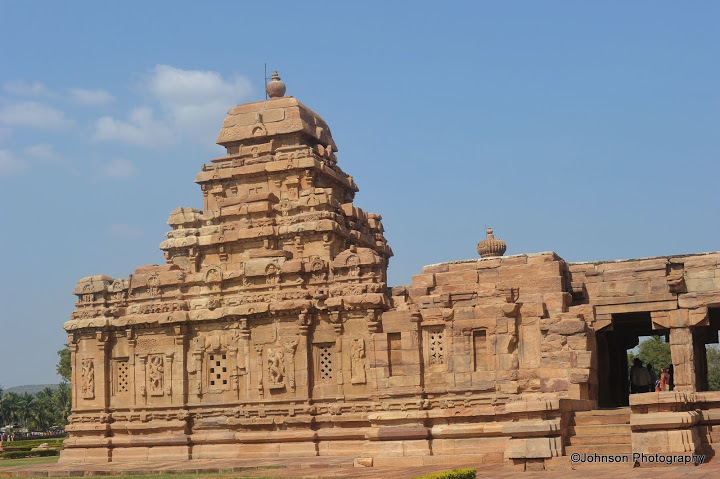 The south Indian Temple architecture was experimented and evolved in these places in the 5th and 6th centuries. 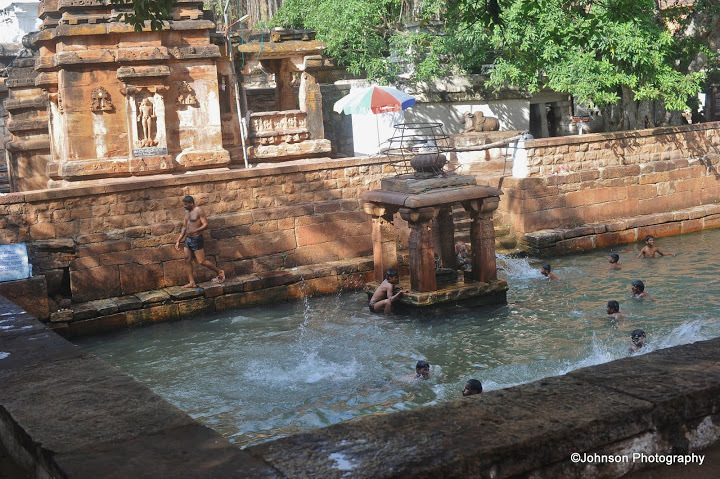 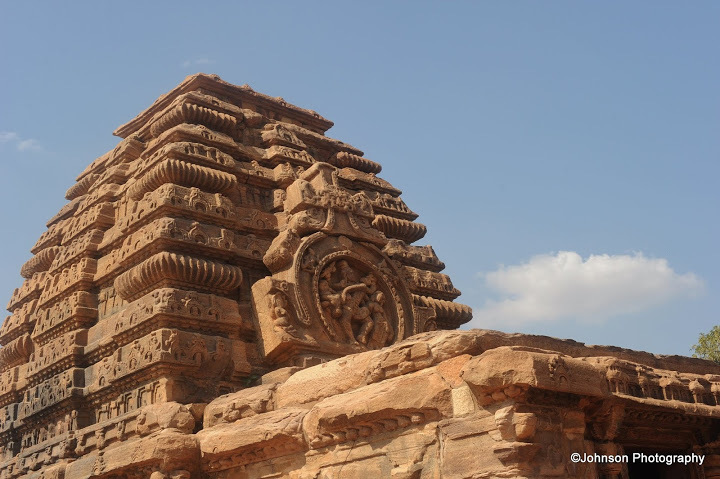 Once in Badami, these are a must visit for any travel enthusiast. 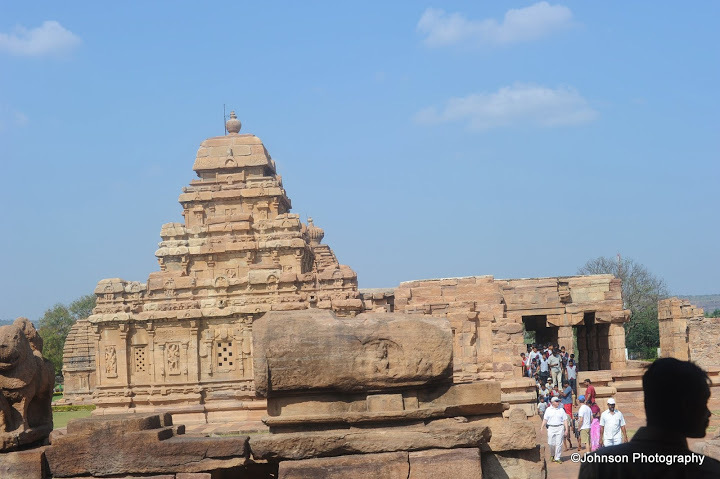 You can visit both Aihole and Pattadakal in a single day from Badami if you set out in the early morning. 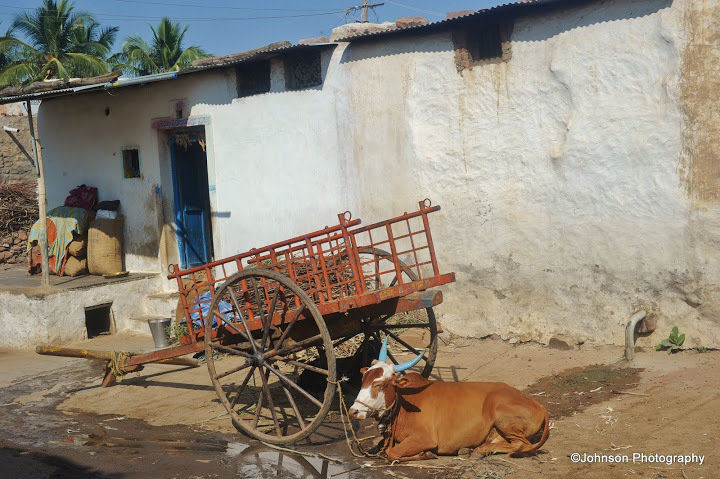 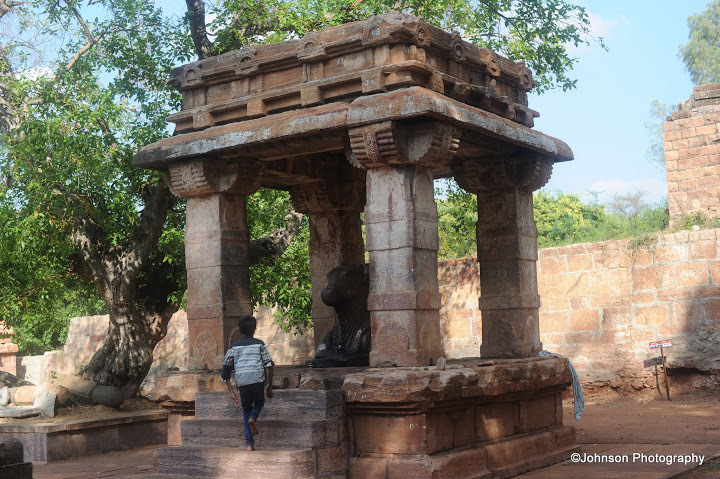 It is best to start with the morning bus to Aihole (one hour). 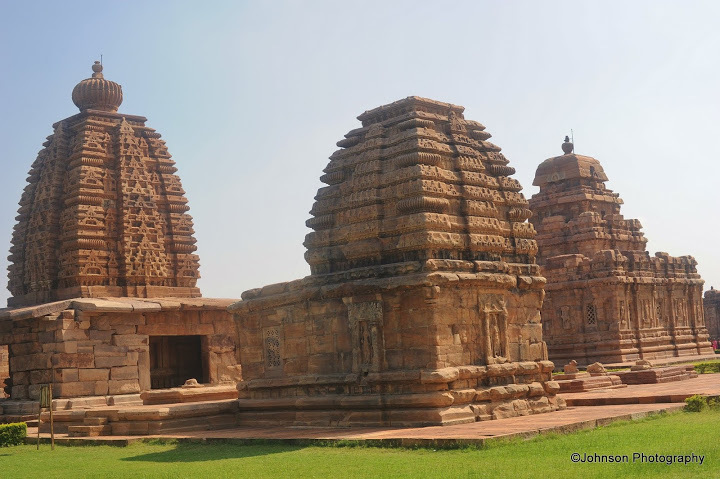 Frequent buses run between Aihole and Pattadakal (half an hour) and from Pattadakal to Badami (one hour). 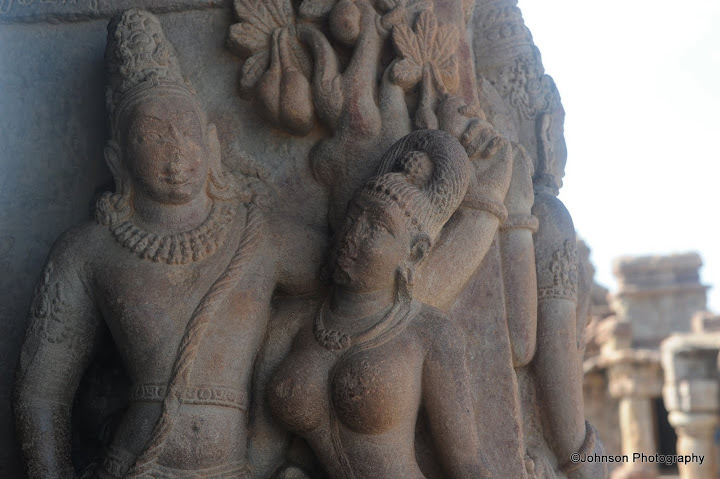 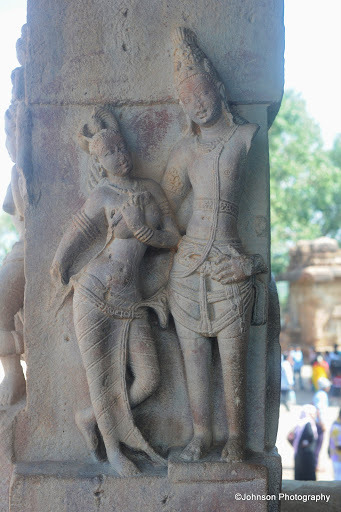 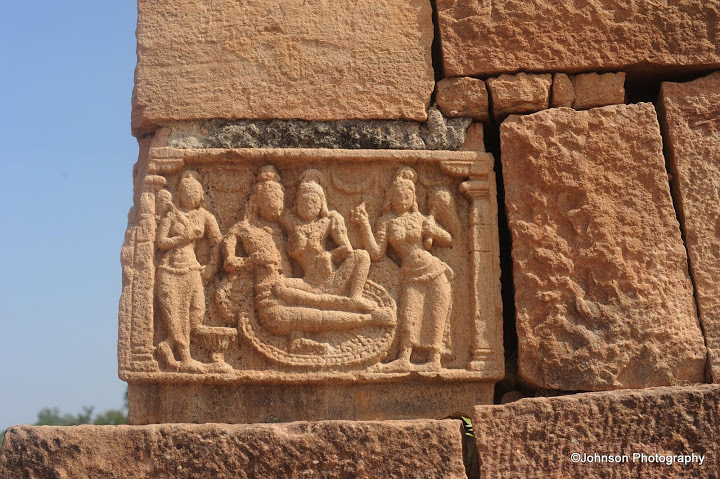 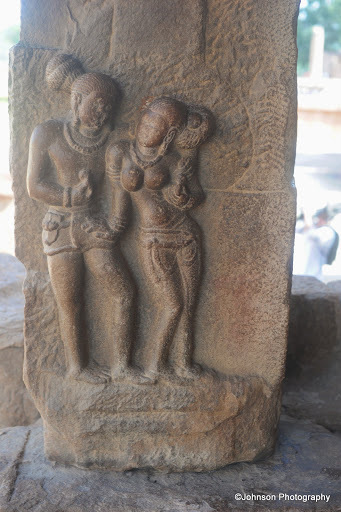 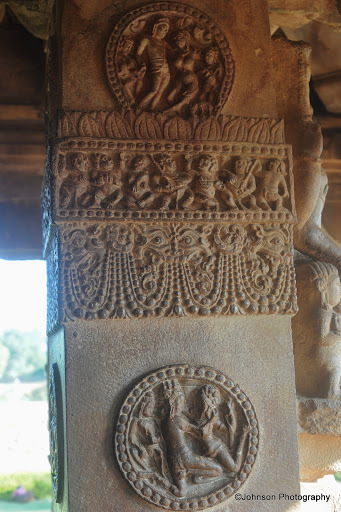 Aihole was earlier known as Ayyavole and Aryapura in in the ancient inscriptions. 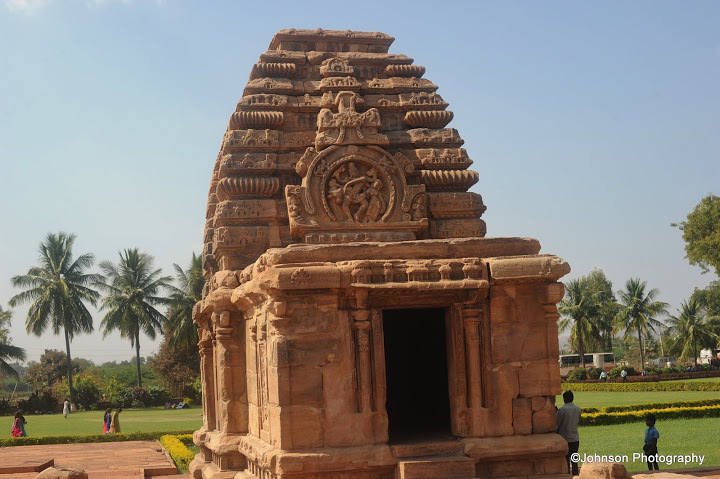 It was established in the 450 AD as the first capital of Chalukya kings and has about 125 stone temples some of which were constructed as experimental structures by artisans of Chalukayan period. 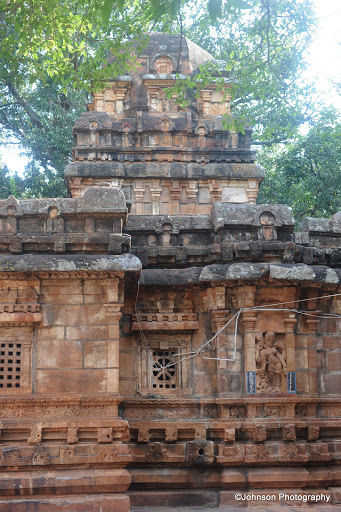 The early Chalukyas inherited architectural styles largely from their neighbours to the north and south of their kingdom. 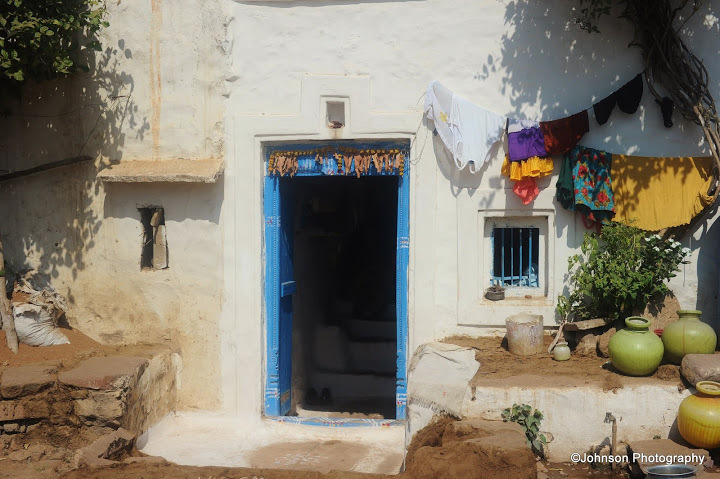 The Chalukyan artisans brought together the prevailing styles in their neighbourhood to create the Chalukyan style. 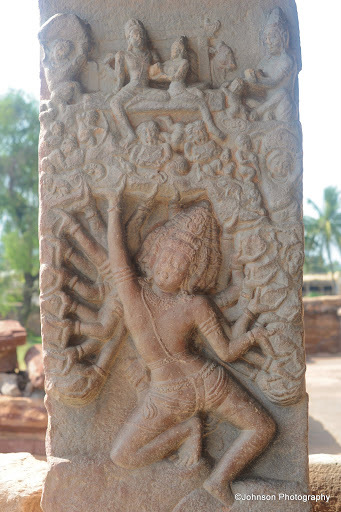 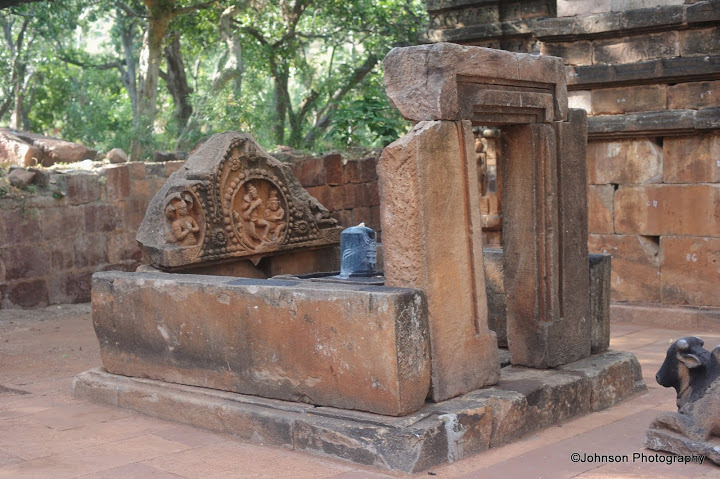 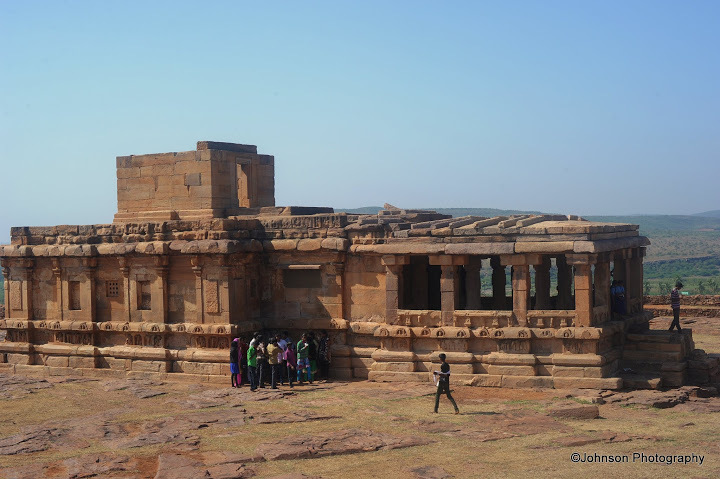 The prominent temple groups at Aihole are the Kontigudi group and the Galgantha group of temples, although historians have divided all the temples into 22 groups. 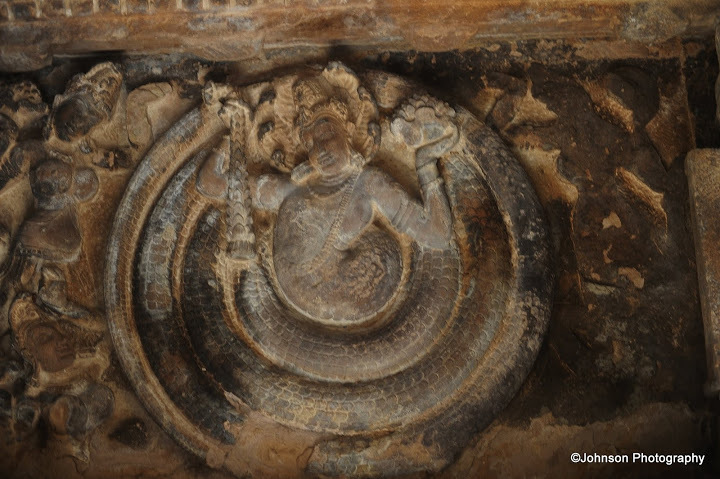 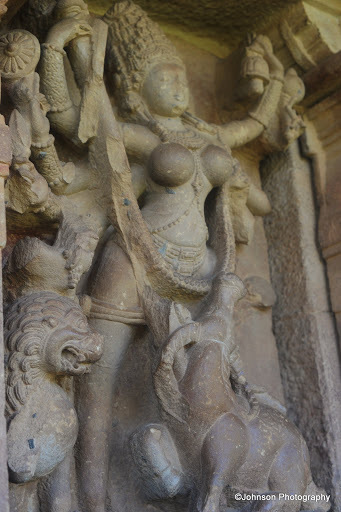 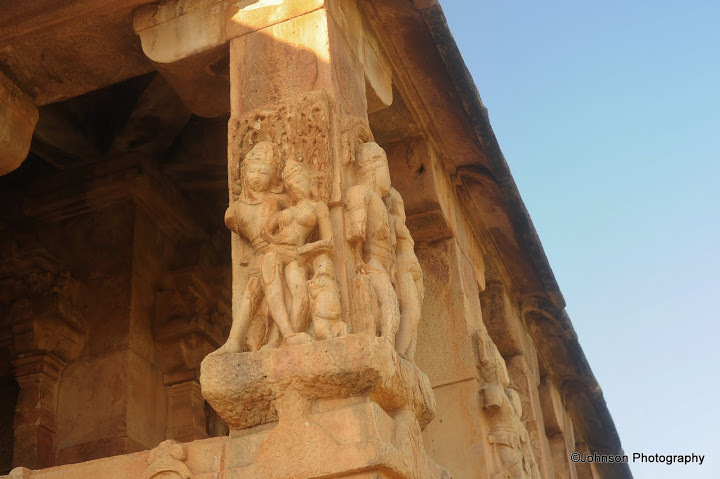 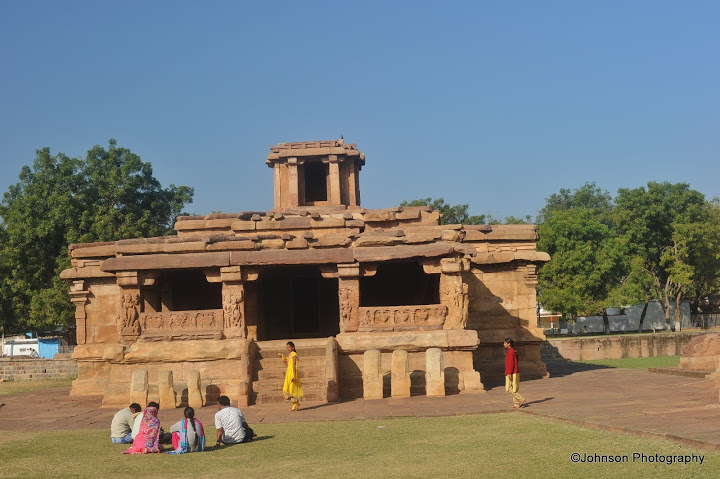 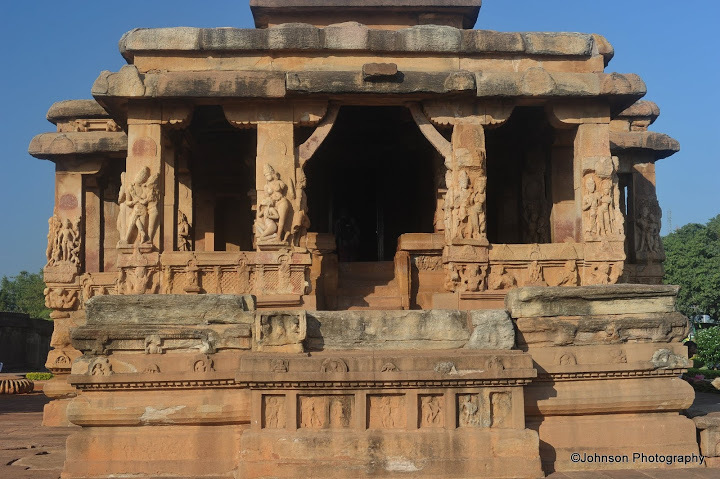 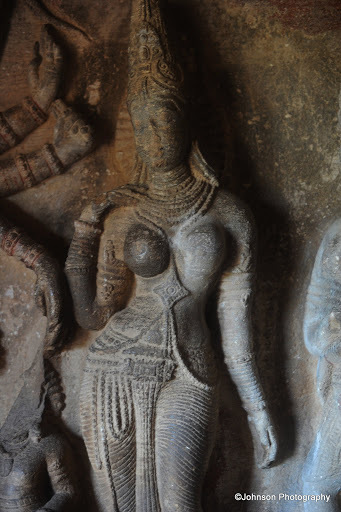 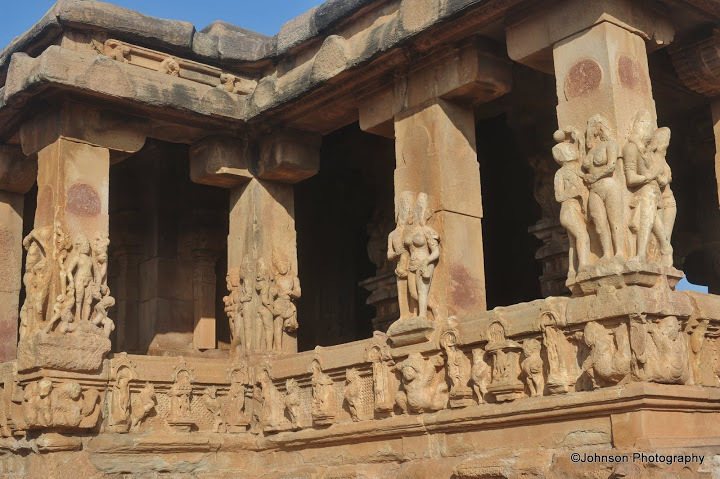 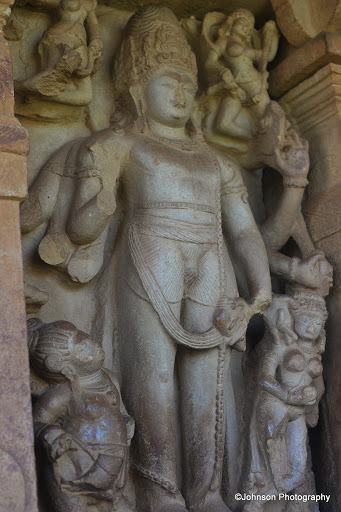 The most impressive temple in Aihole is Durga Temple which dates to the 7th century. 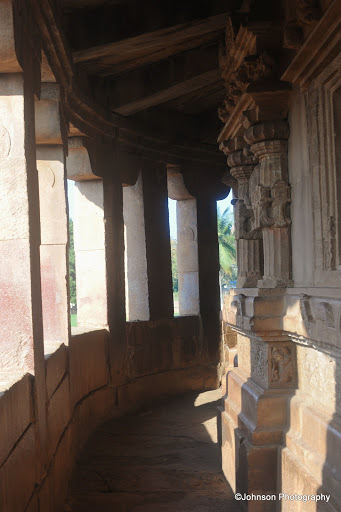 It is notable for its semicircular apse which was copied from Buddhist architecture and for the remains of the curvilinear sikhara. 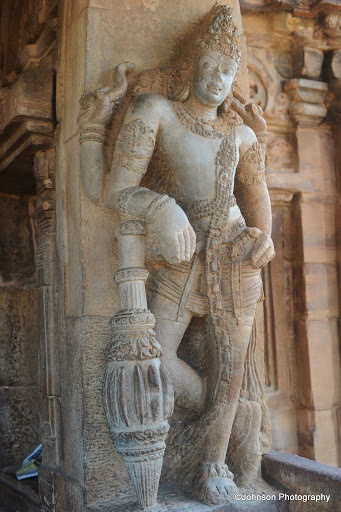 Intricate carvings adorn the colonnaded passageway around the temple sanctuary. 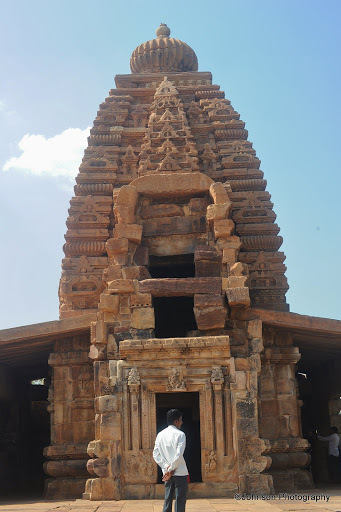 To the south of the Durga Temple are several other collections of temples the Gandar, Ladkhan, Kontigudi and Hucchapaya groups with pavilions and slightly sloping roofs. 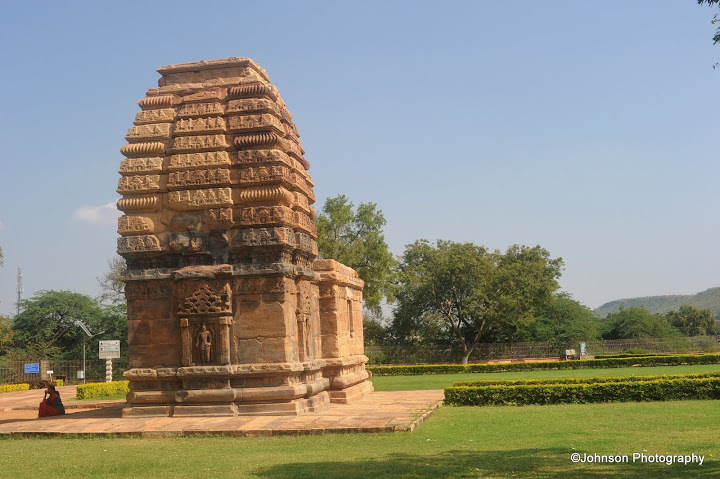 Lad Khan Temple consists of a shrine with two mantapas in front of it. 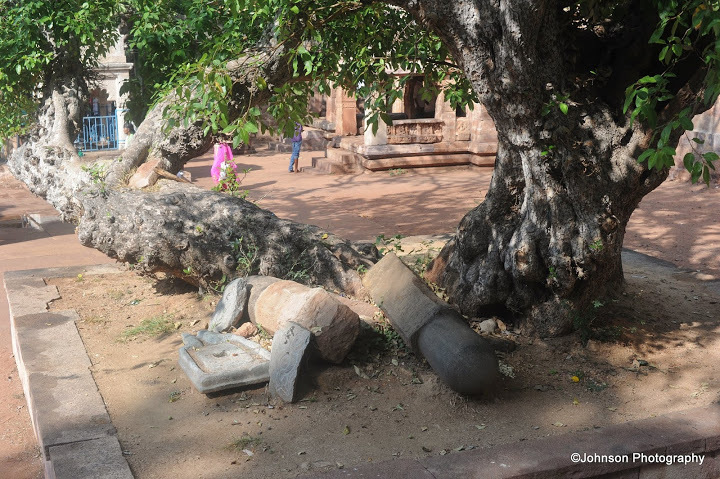 The shrine bears Shiva Lingam. 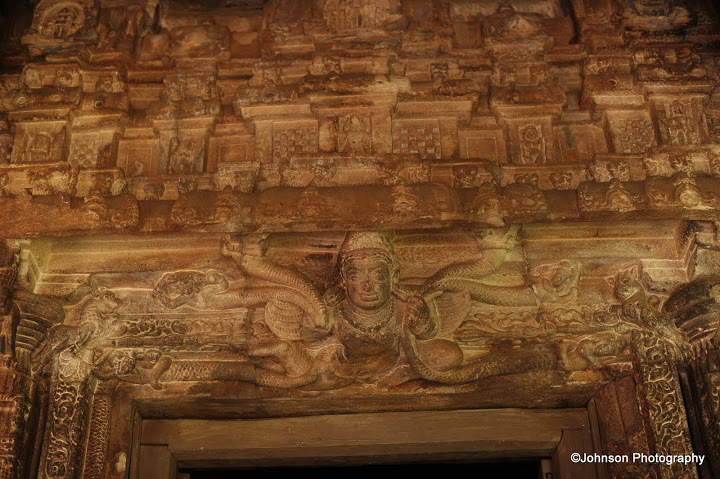 The mukha mantapa in front of the sanctum has a set of 12 carved pillars. 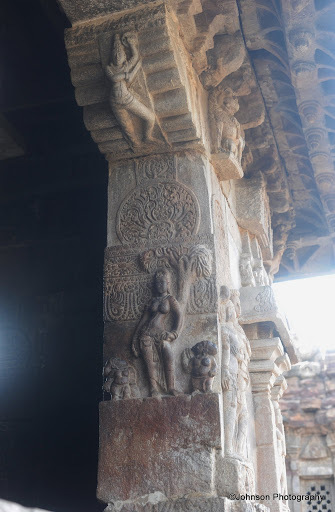 There are also stone grids on the wall carrying floral designs. 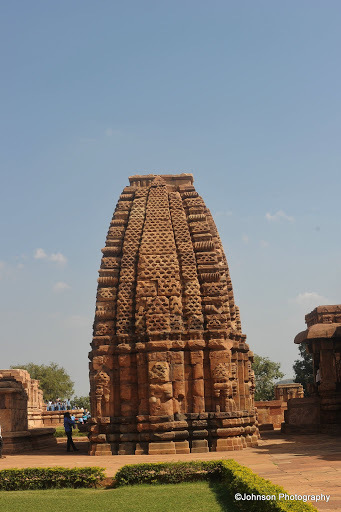 The temple was built by the Chalukyan kings in the 5th century. 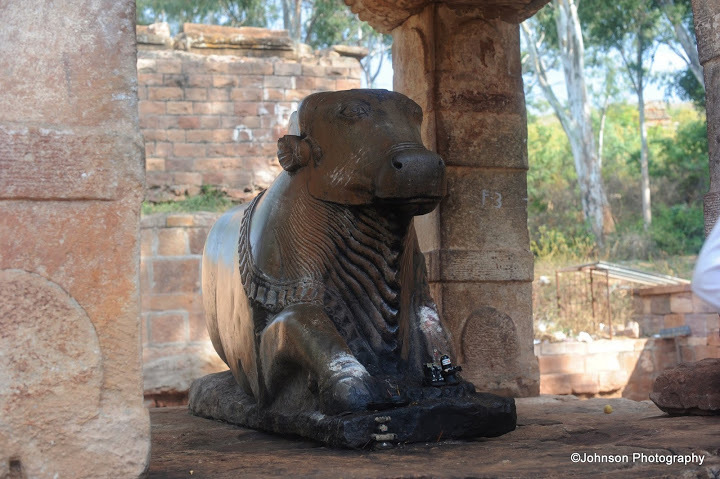 Ravan Phadi cave is one of the oldest rock cut temple in Aihole. 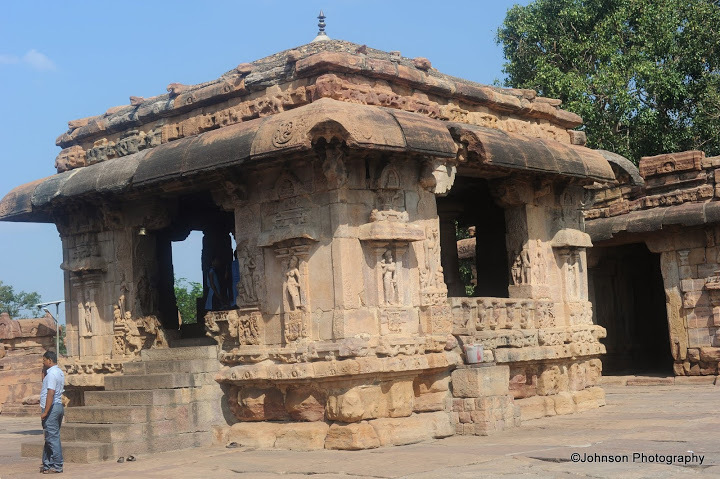 The Temple dates back to the 6th century, with rectangular shrine, with two mantapas. 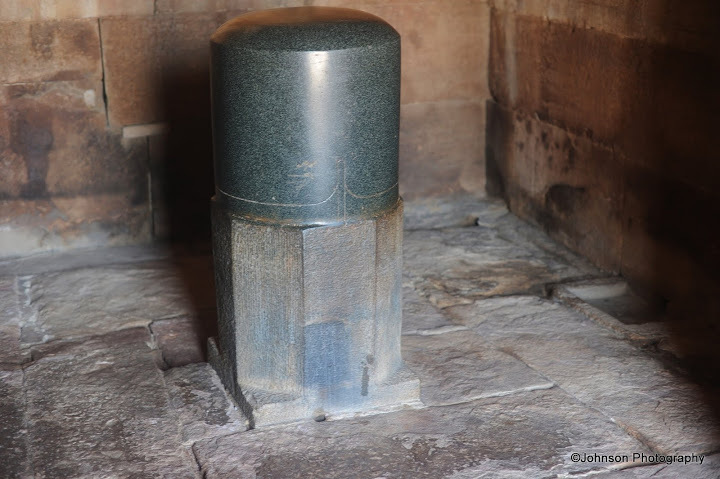 There is a Shivlinga in the sanctum sanctorum. 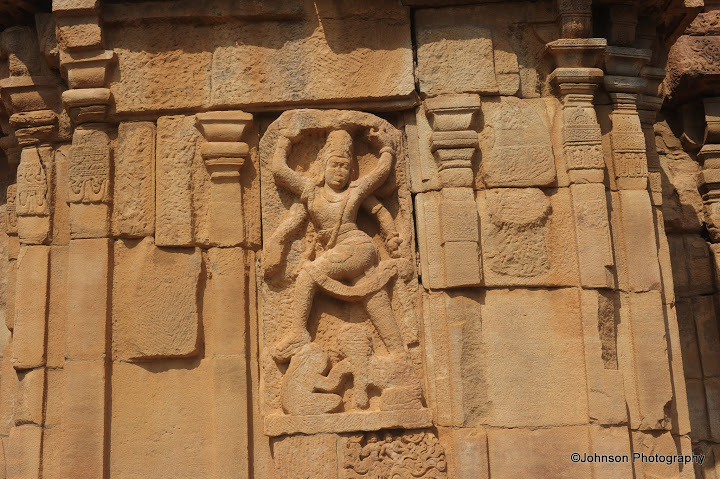 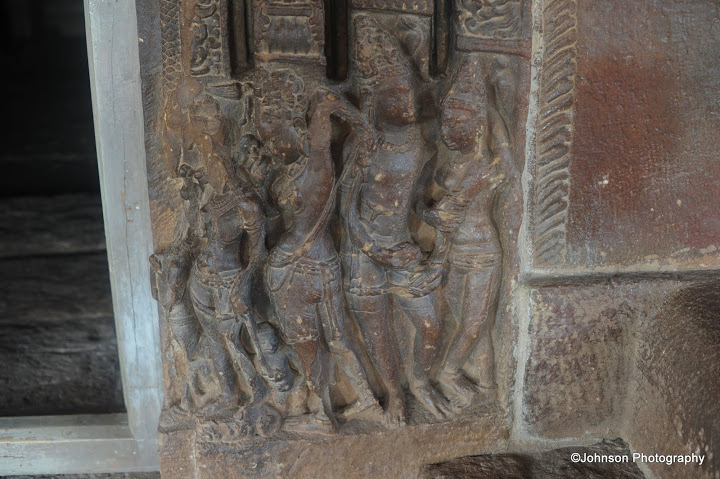 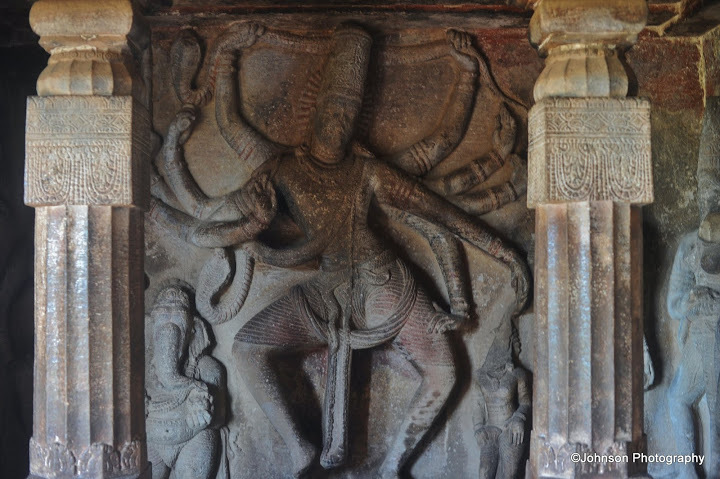 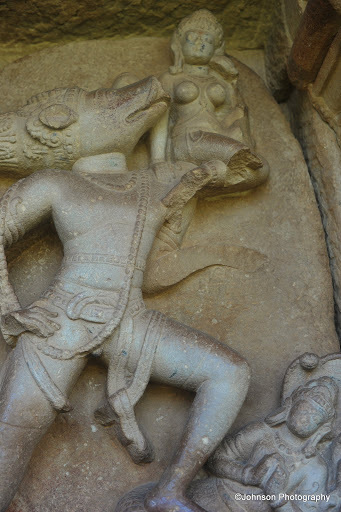 The walls and sides of the temple are covered with large figures including dancing Shiva. 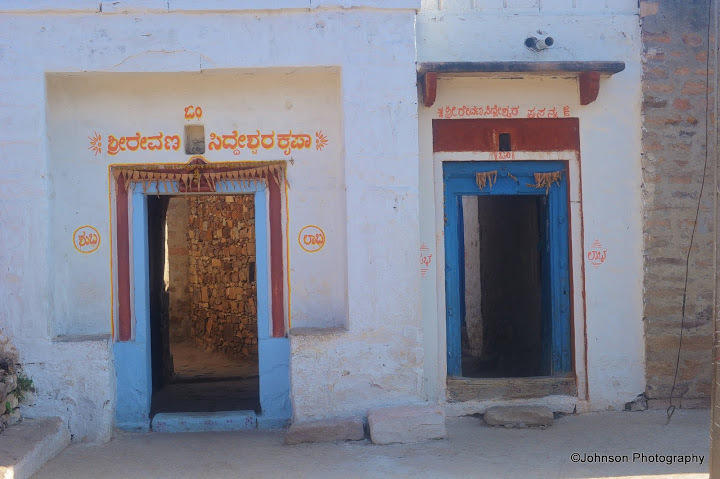 About a kilometre from the Durga temple on a hilltop is the Jain Meguti temple. 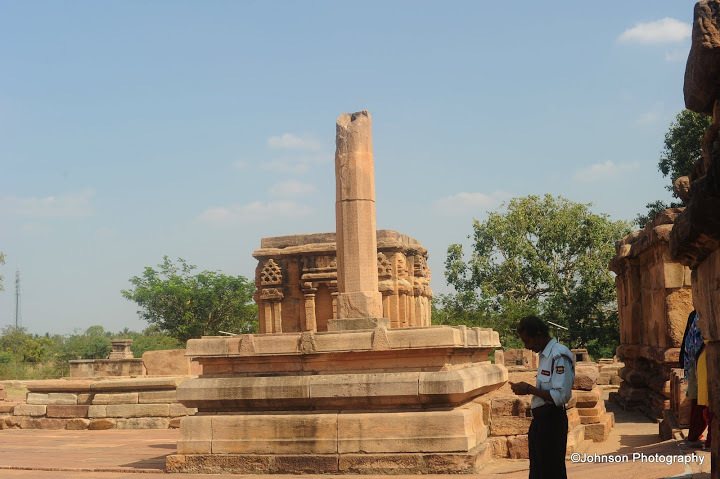 It is the only dated monument built in 634 AD. 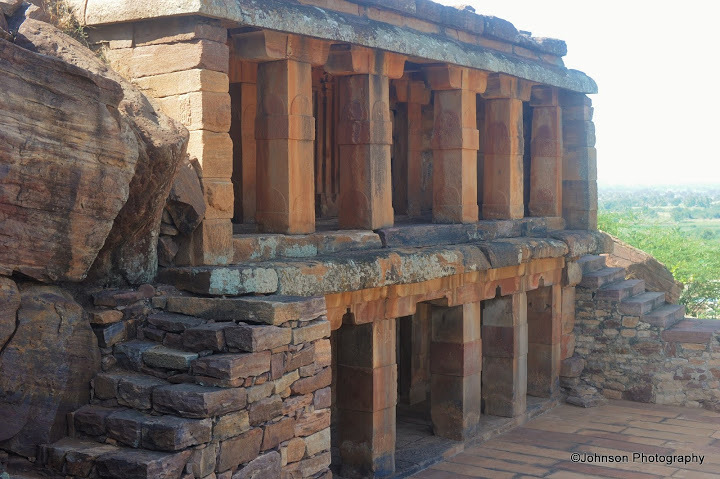 The temple sits on a raised platform, and flight of stairs leads to another shrine on the roof, directly above the main shrine. 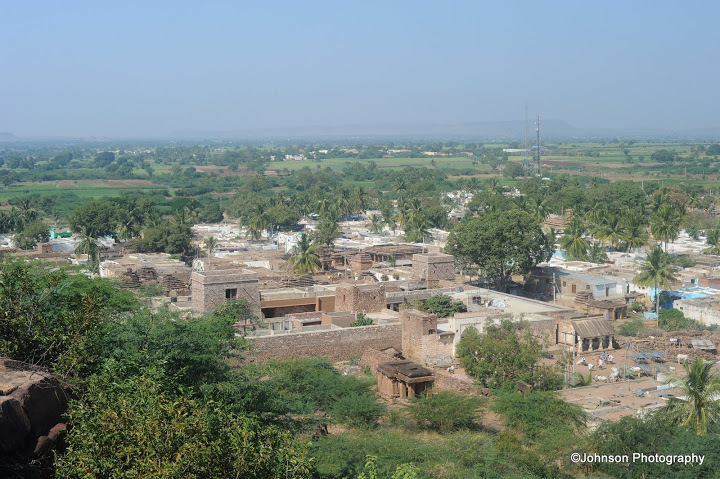 From the roof of this temple one can have panoramic view of the surrounding plain with 100 or more temples scattered all around. 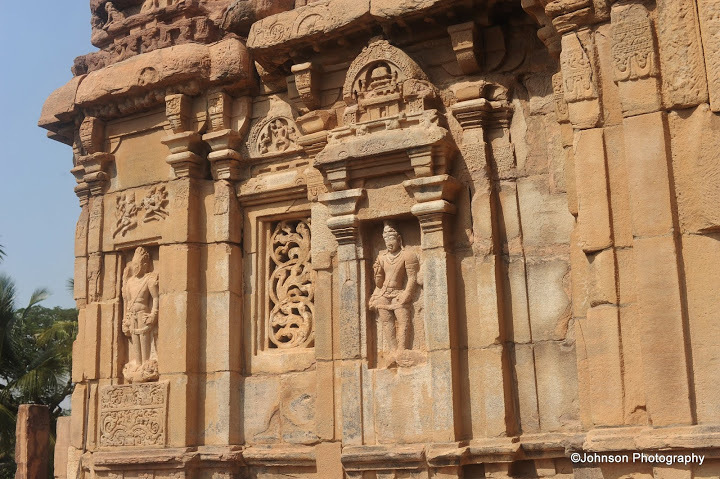 This temple which was probably never completed gives important evidence of the early development in Dravidian style of architecture. 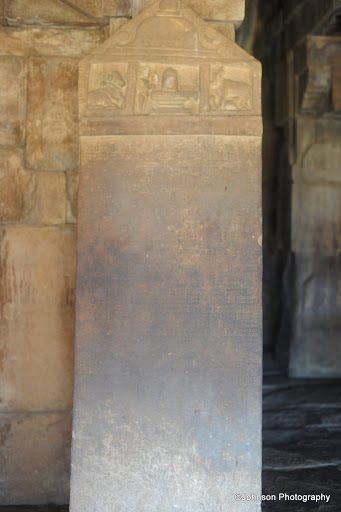 The inscription on the outer wall of the temple records the construction of the temple by Ravikeerthi, a scholar in the court of emperor Pulakeshin II. 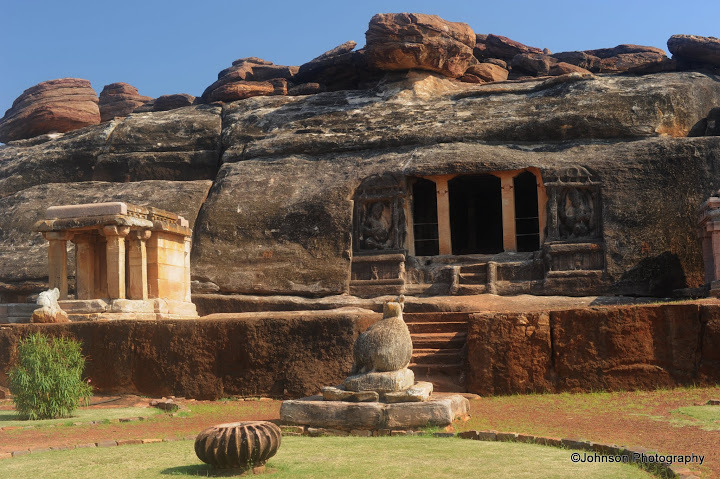 En route to Meguti temple on the same hillock there is the 6th century two storied Buddhist cave temple which is partly a rock cut temple. 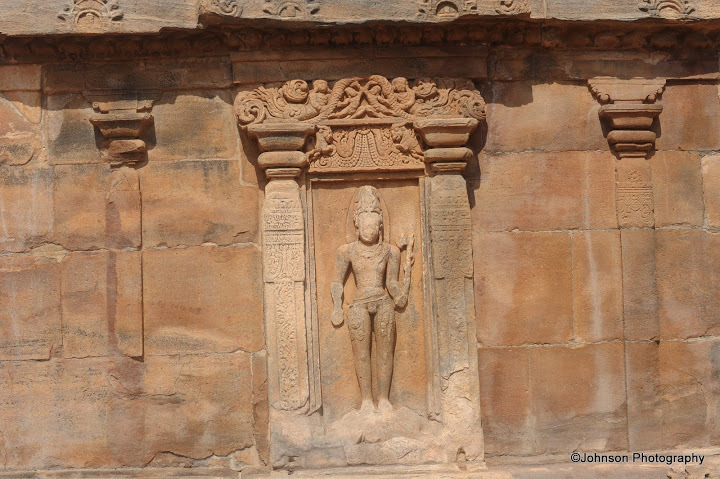 Pattadakal also spelled as Pattadakallu is located on the left bank of Malaprabha River and about 10 kilometres from Aihole. 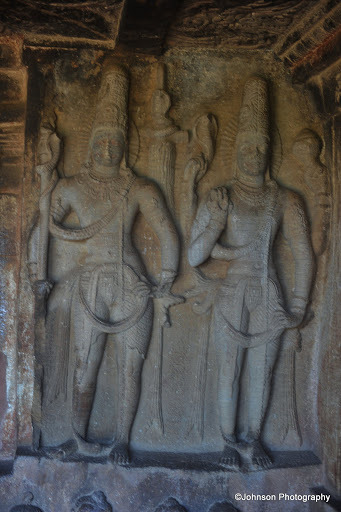 It is here that the Chalukyan kings were coronated. 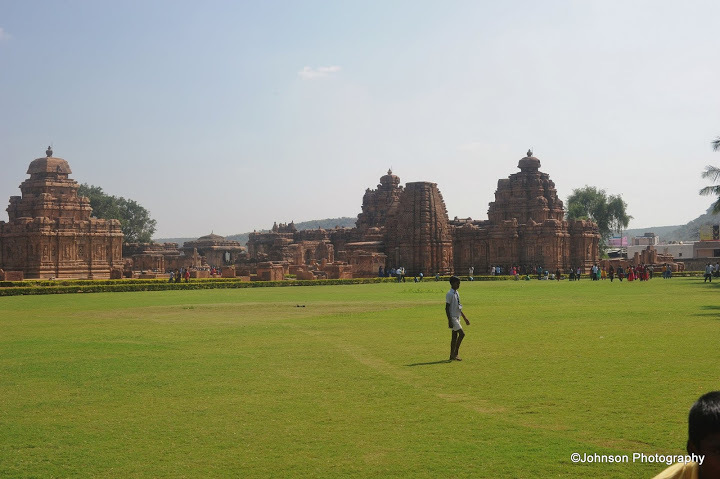 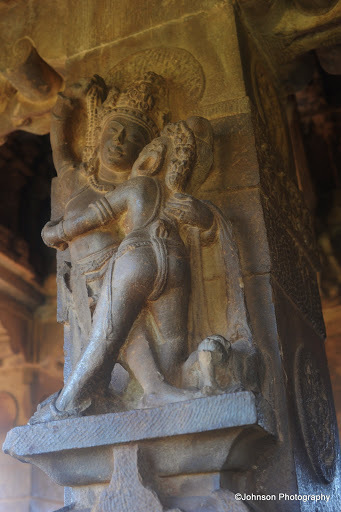 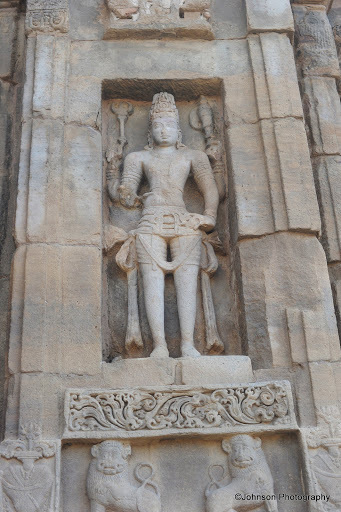 There are ten temples at Pattadakal including a Jain sanctuary belonging to various architectural styles. 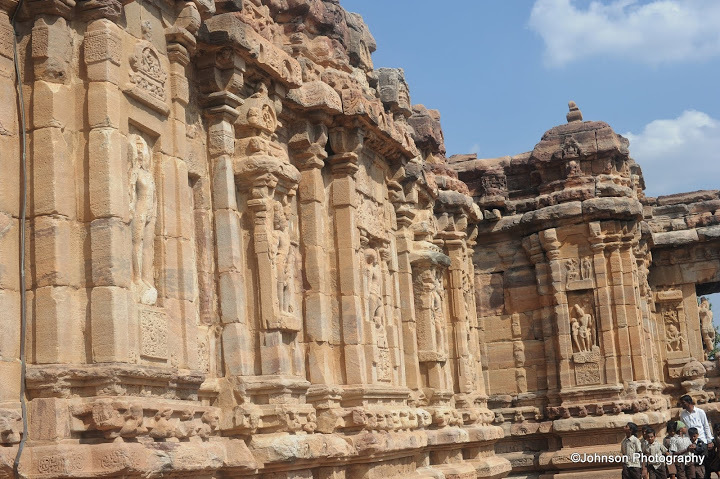 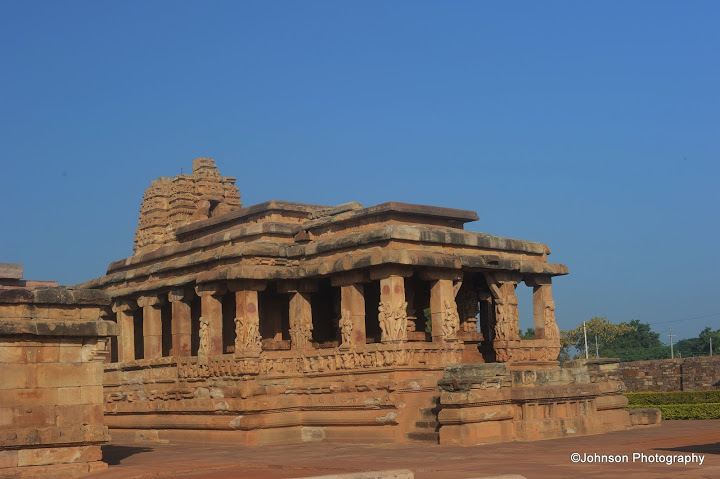 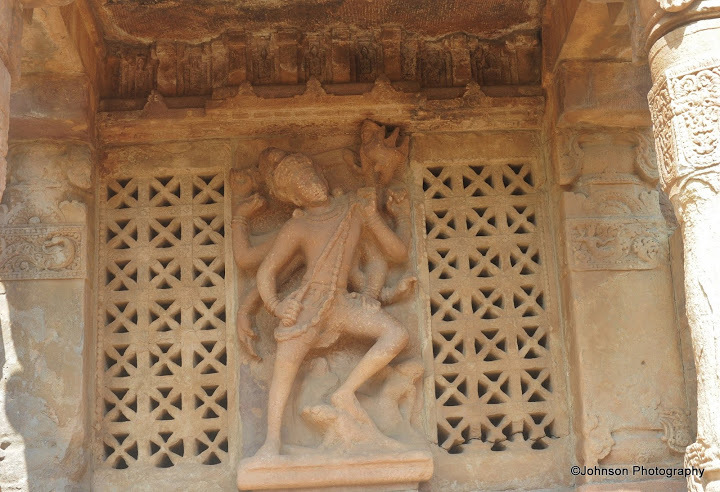 The Chalukyan style of temple architecture originated in Aihole and evolved their distinctive style at Pattadakal. 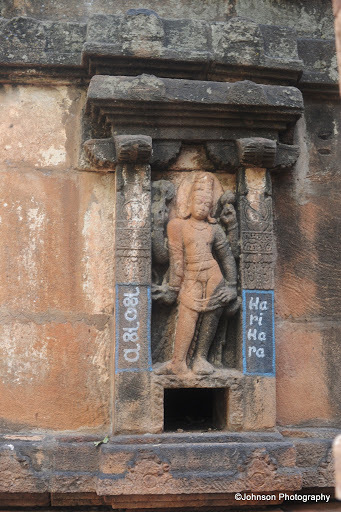 There are many Kannada language inscriptions at Pattadakal. 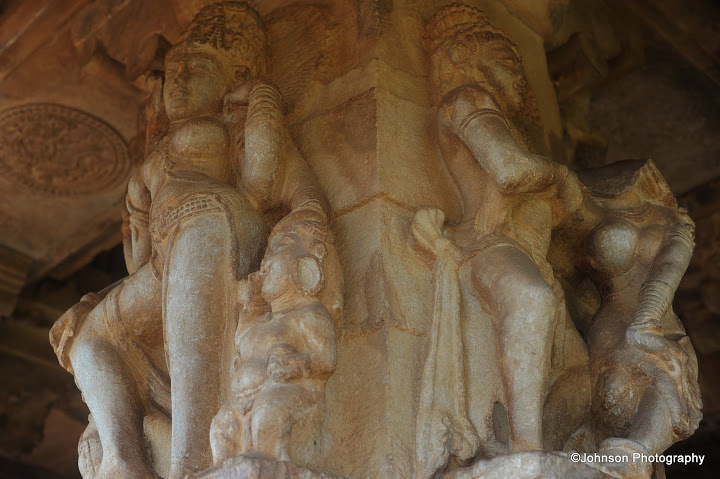 The site displays both Nagara and Dravidian style of architecture. 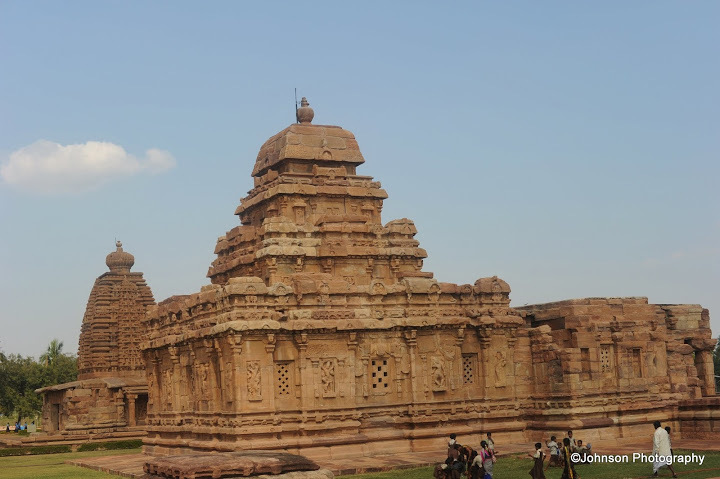 Virupaskha temple is the largest and grandest of all temples in Pattadakal built in 8th century by Queen Lokamhadevi to commemorate her husband’s (Vikramaditya II) victory over the Pallavas of Kanchi. 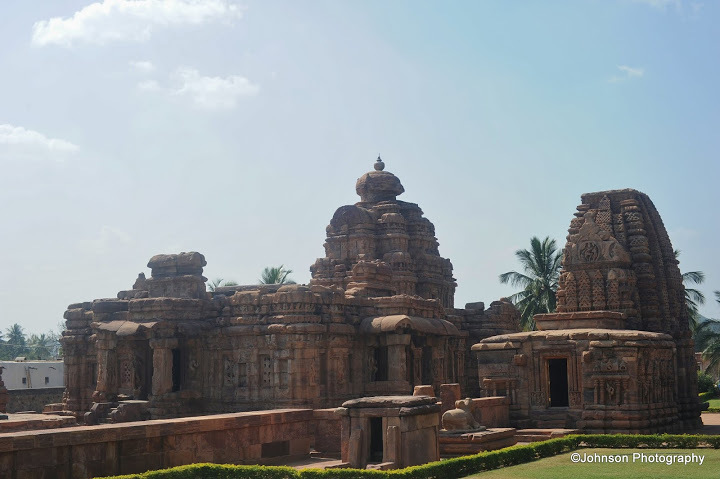 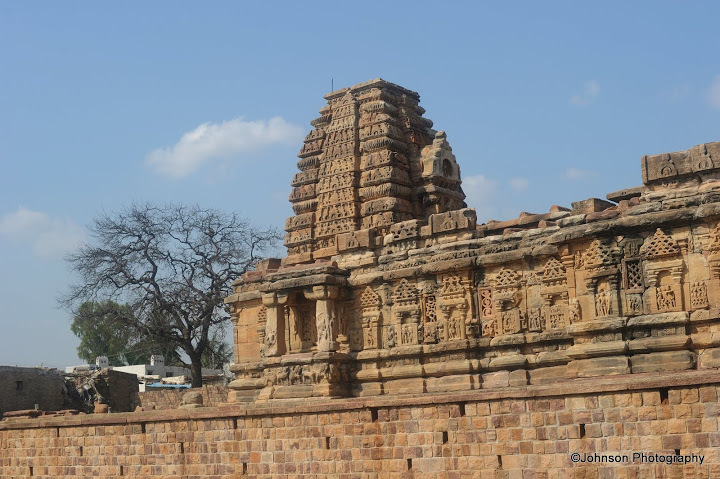 Sangameshvara Temple is the oldest temple in Pattadakal, built by Chalukya King Vijayaditya Satyashraya. 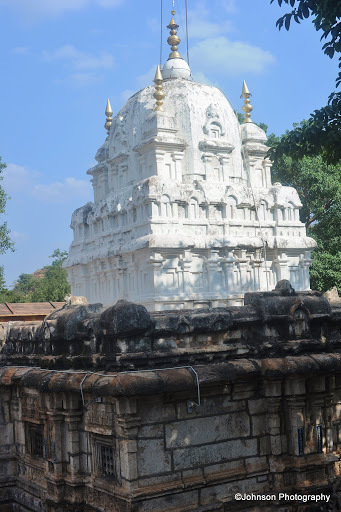 The temple is in Dravidian style. 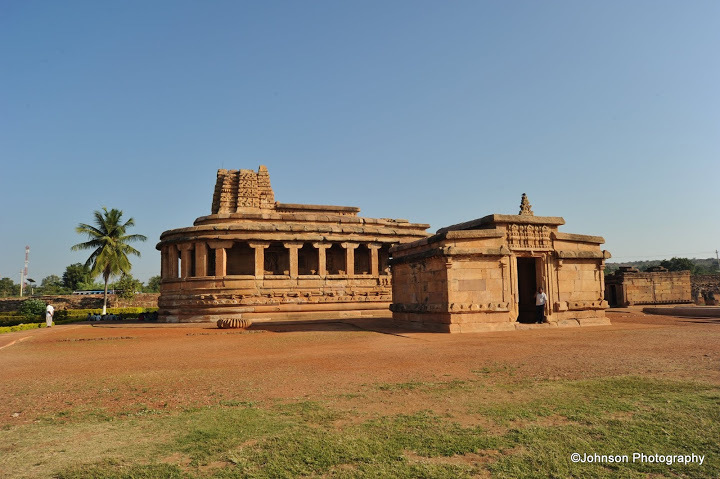 Mallikarjuna Temple is smaller version of the Virupaksha temple and was built by Vikramaditya’s second queen Trilokymahadevi in 745 AD. 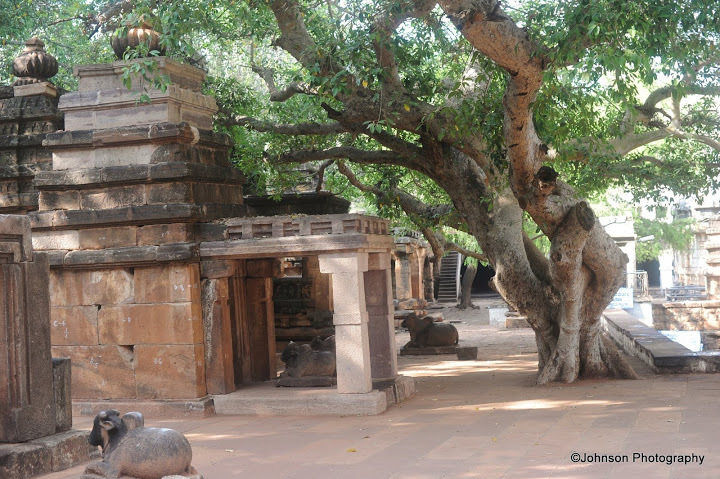 Papanatha Temple is made in the Vesara style in 680 AD. 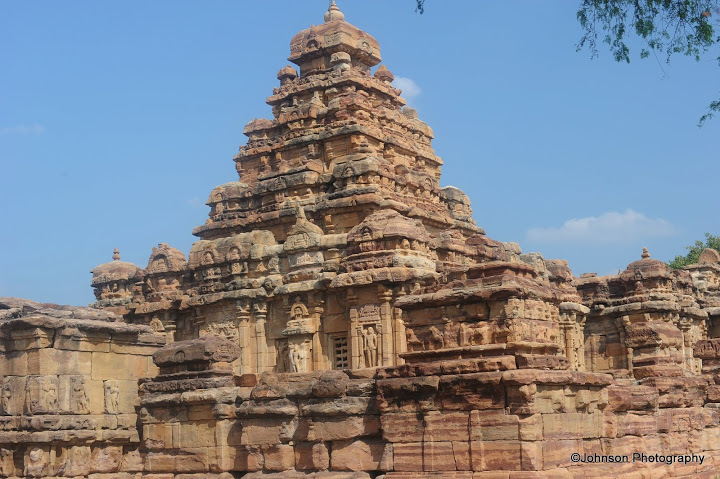 The temple was started in Nagara style but later changed to more balance Dravidian style. 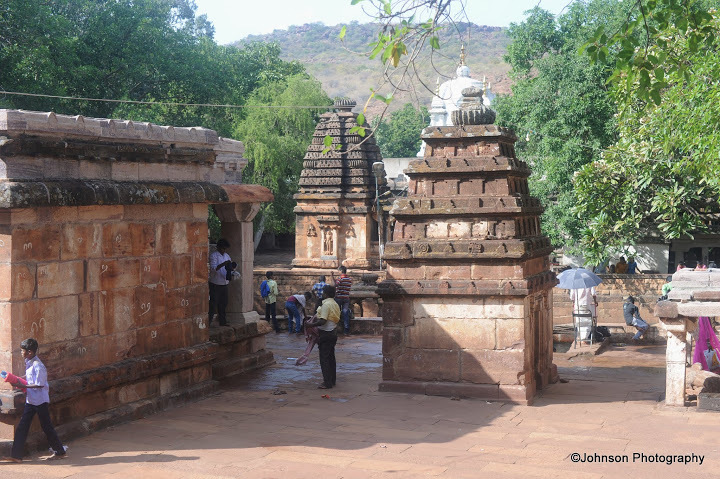 Apart from these major temples, several small Shiva shrines are seen here. 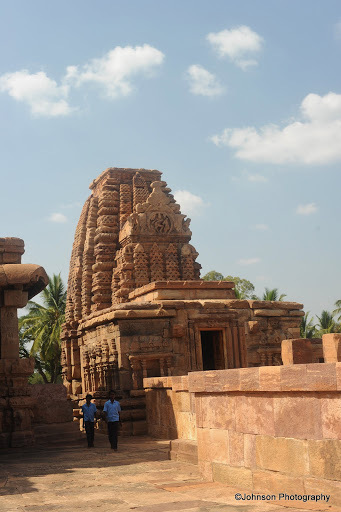 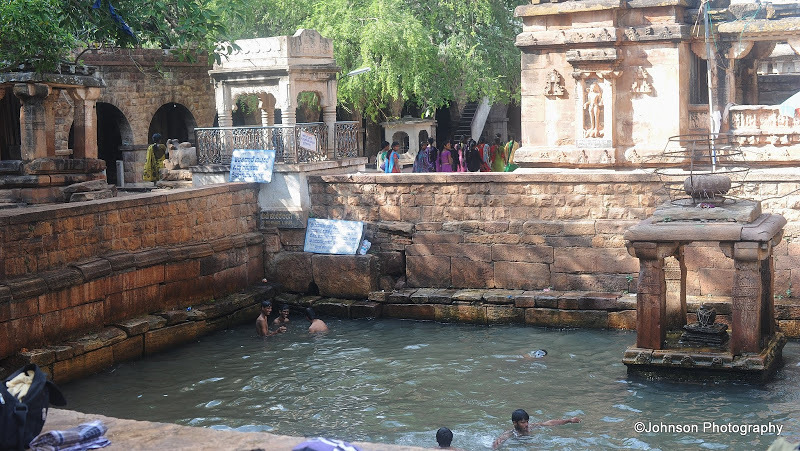 The abundance of Shiva temples here clearly indicates that the place was a great Shaiva center in ancient times.